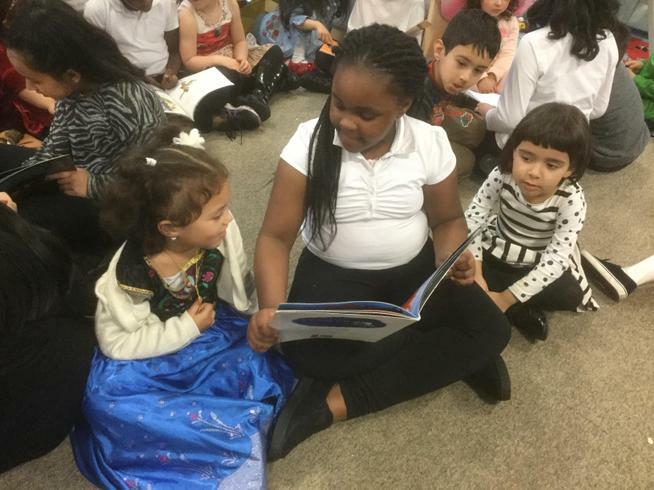 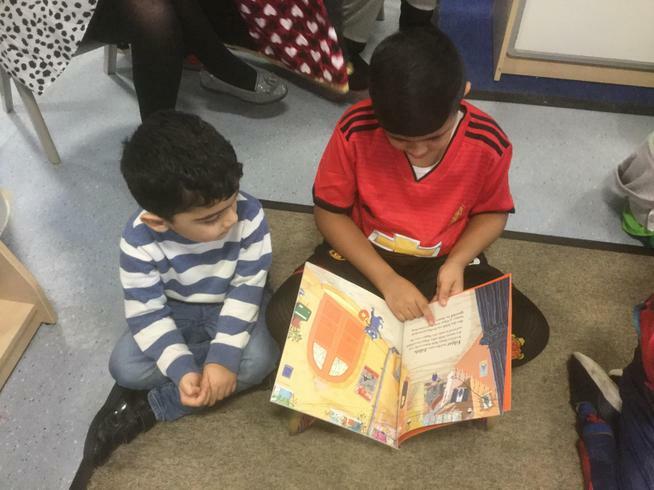 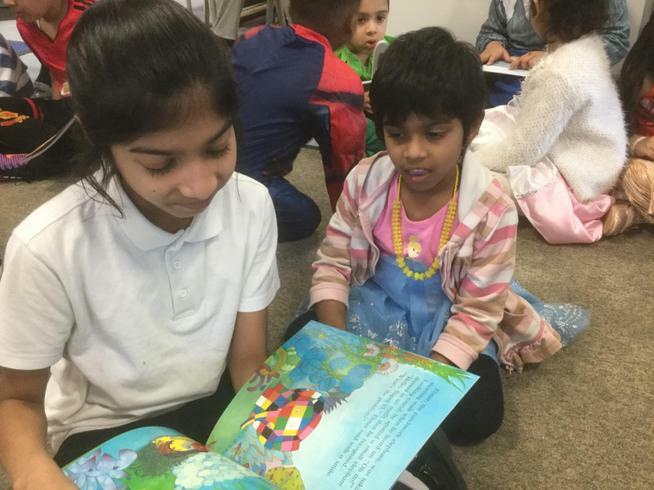 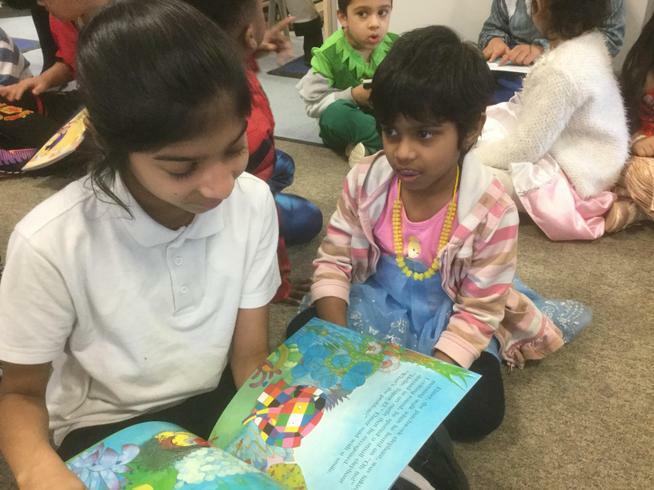 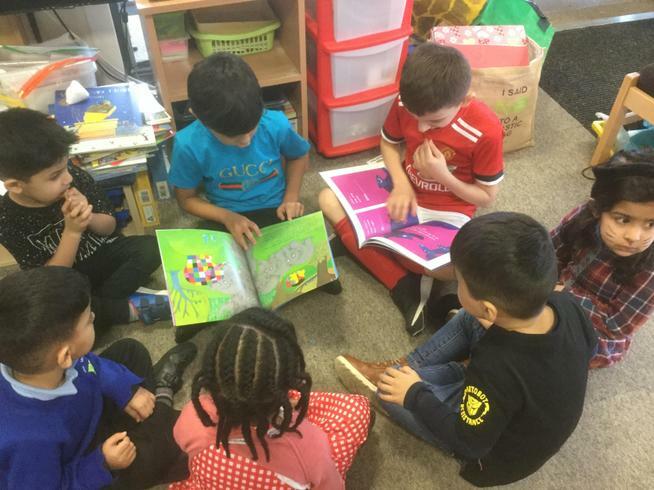 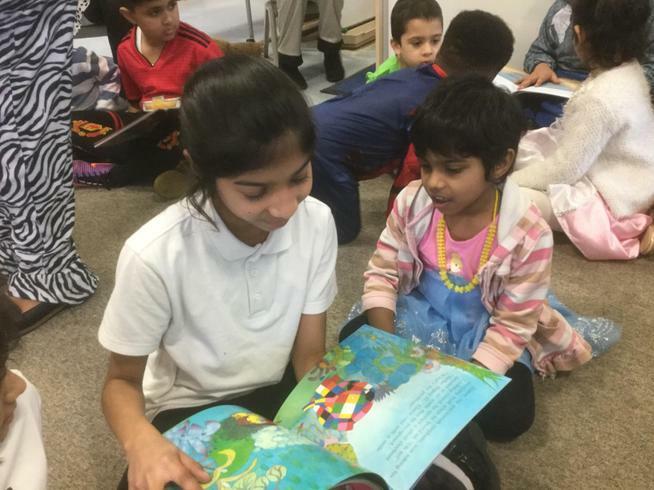 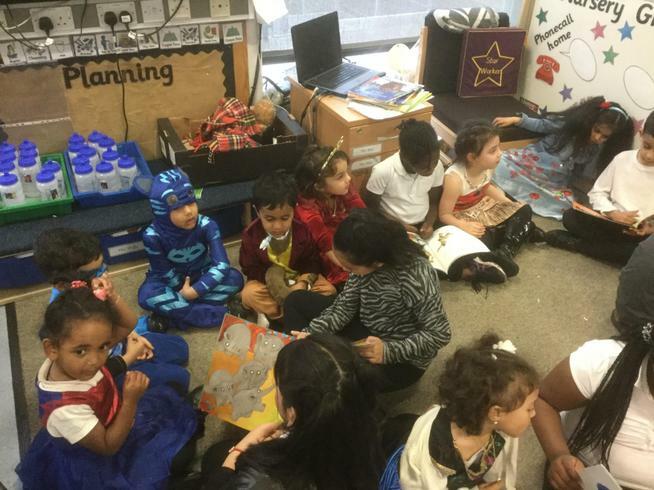 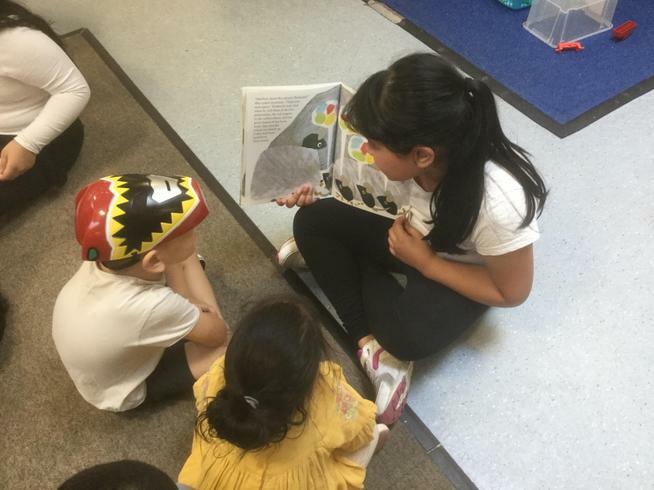 This is the 22nd year there’s been a World Book Day, and on 7th March 2019 children of all ages came together to appreciate reading very loudly and very happily. 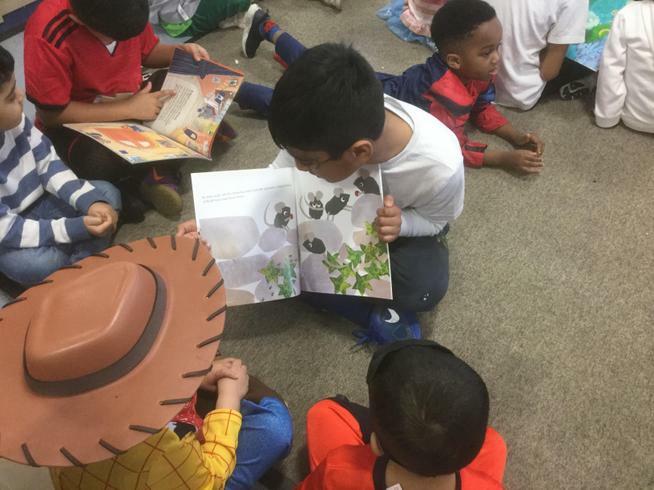 The main aim of World Book Day in the UK and Ireland is to encourage children to explore the pleasures of books and reading by providing them with the opportunity to have a book of their own. 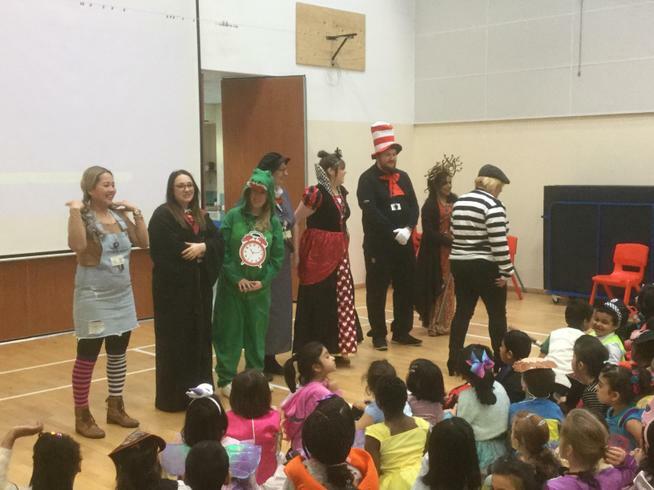 How we celebrate World Book Day at Irk Valley? 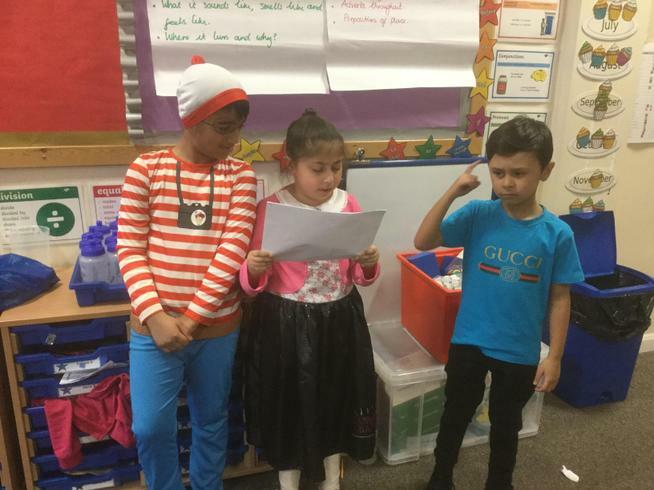 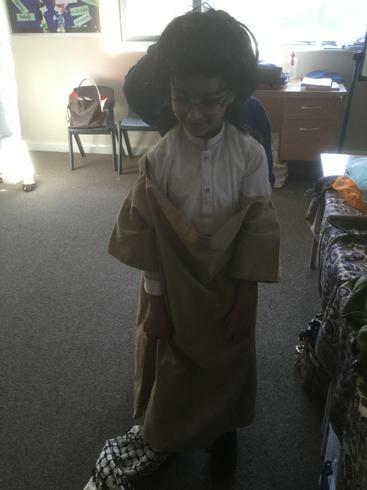 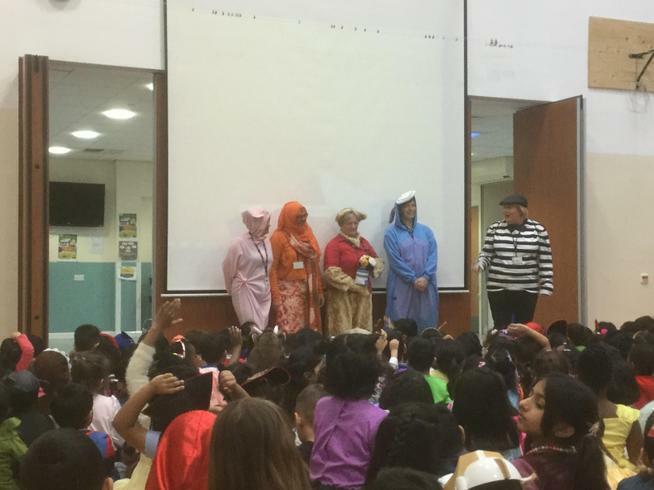 Children of Irk Valley came to school in characters of their favourite books. 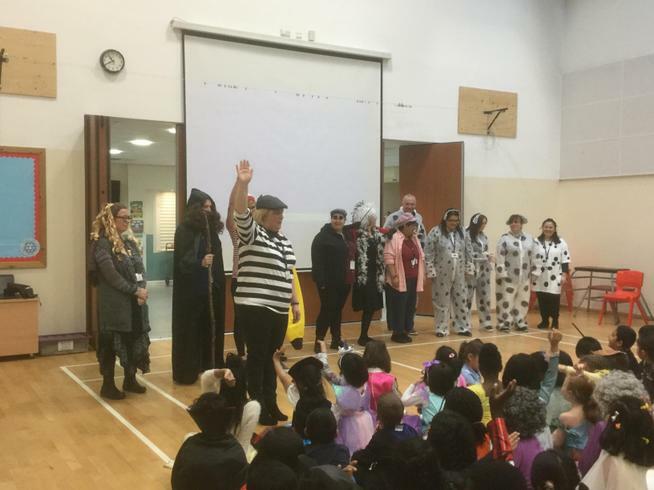 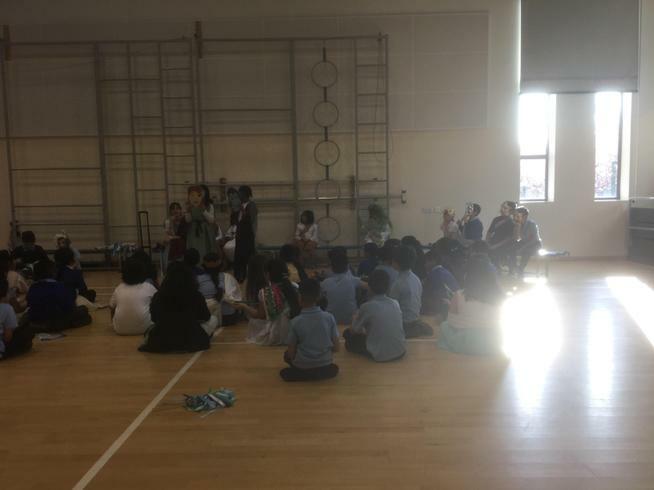 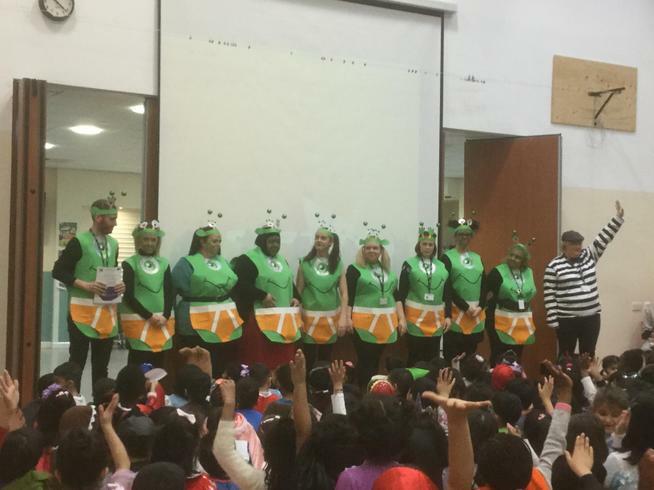 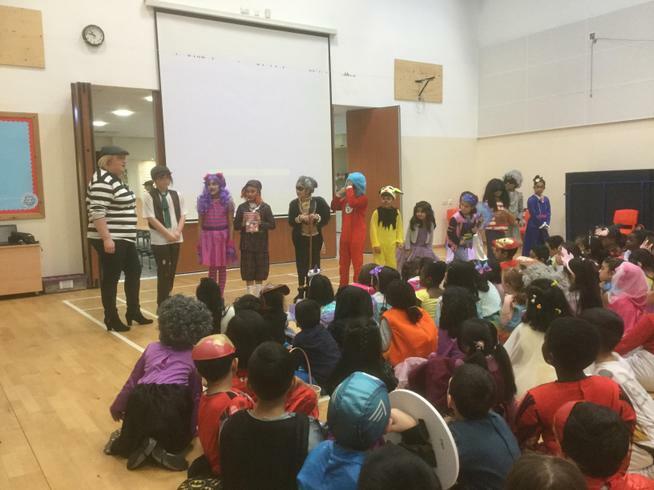 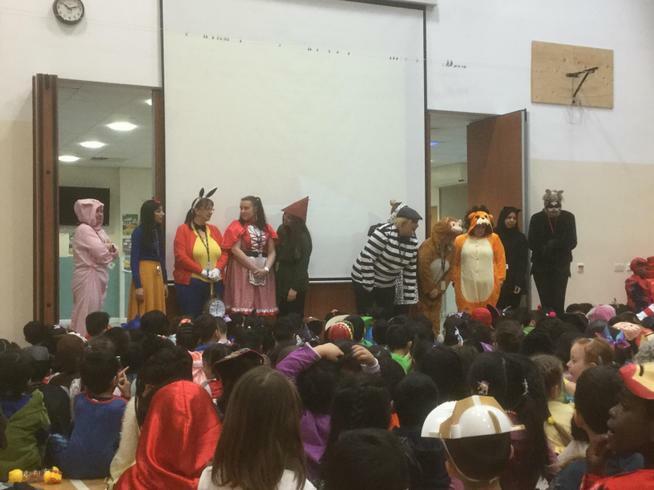 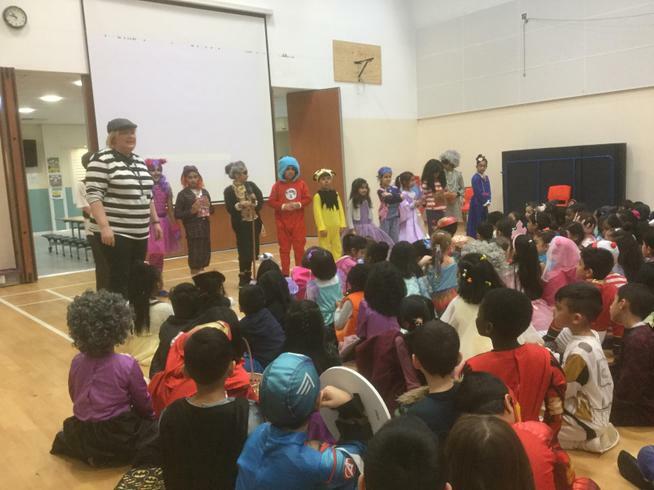 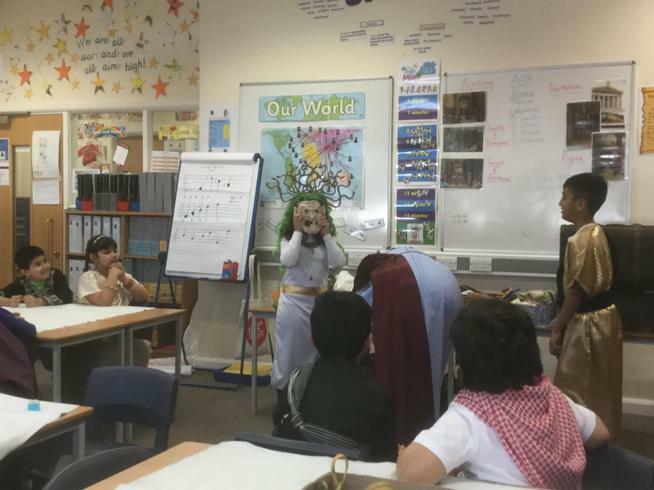 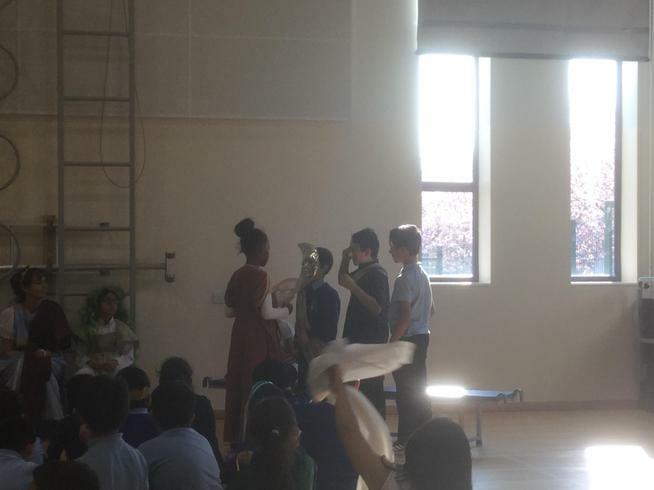 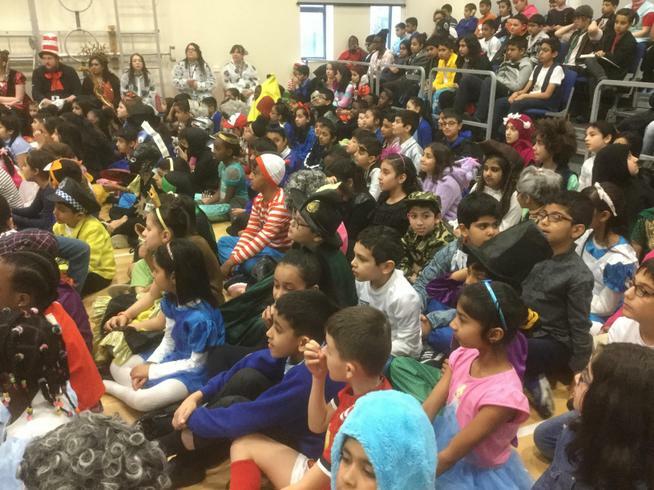 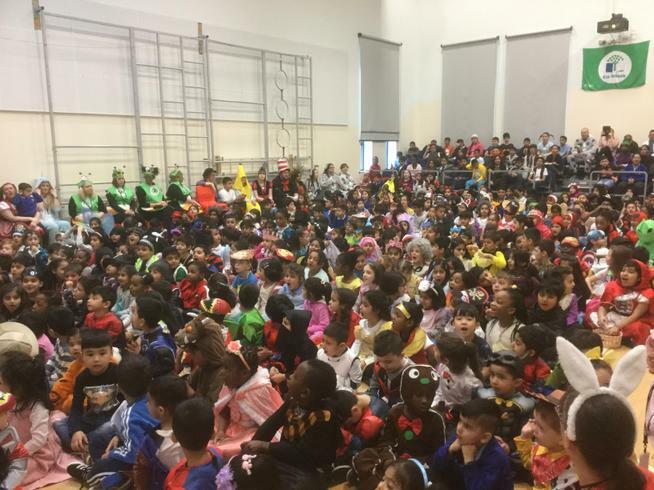 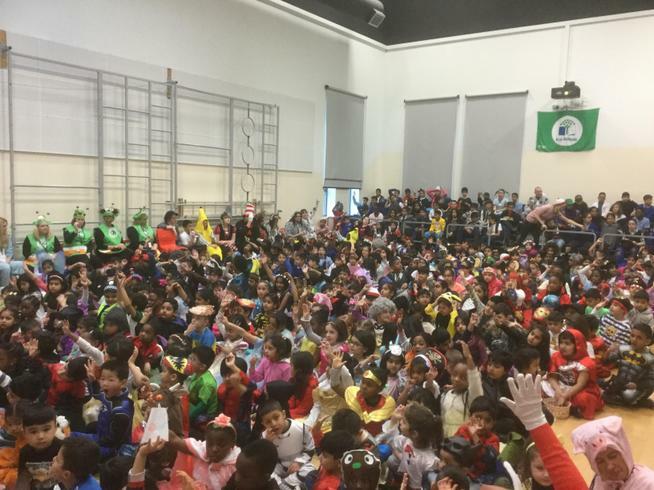 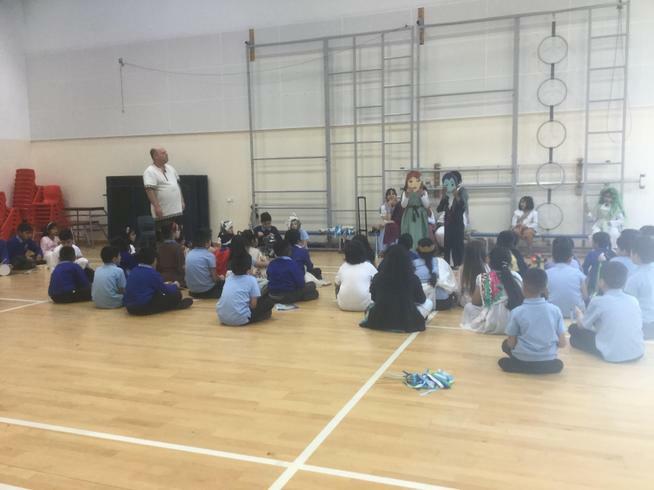 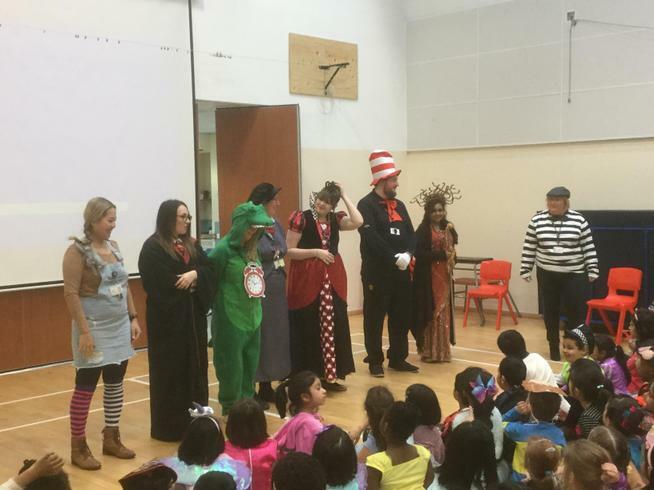 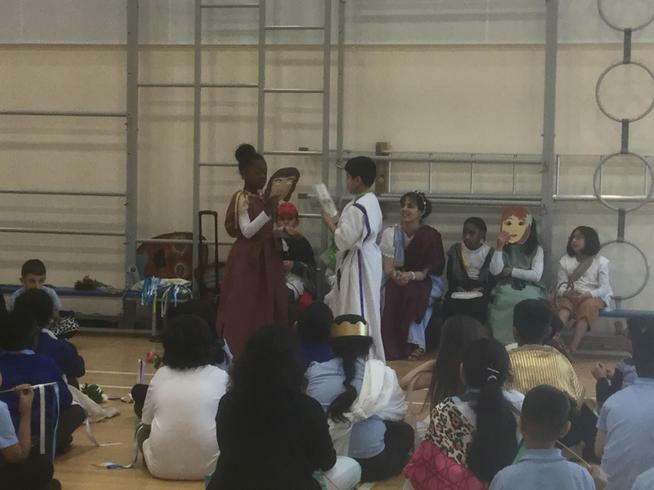 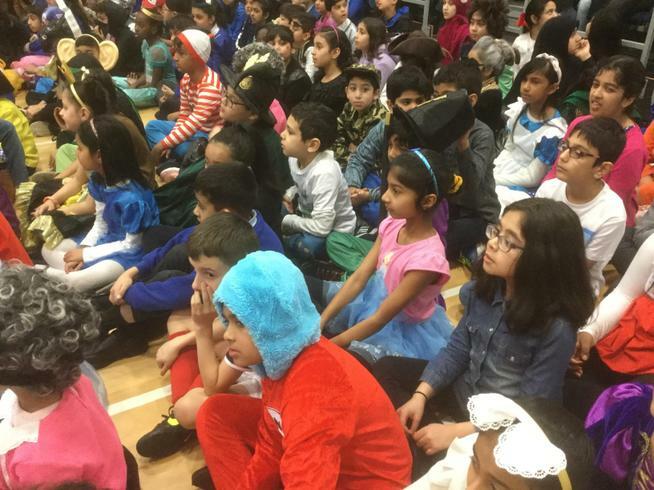 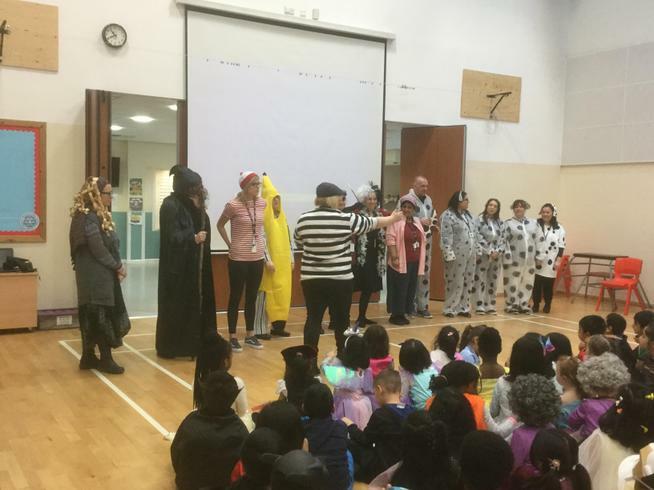 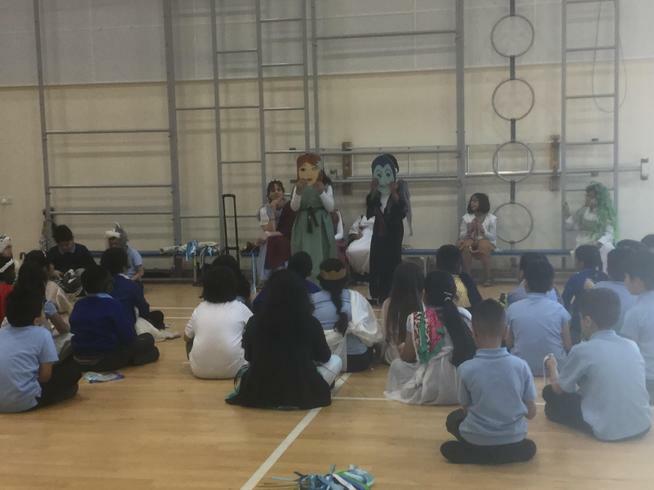 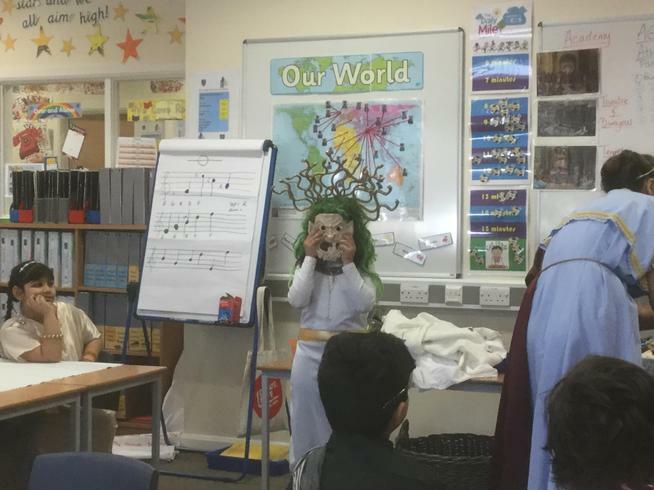 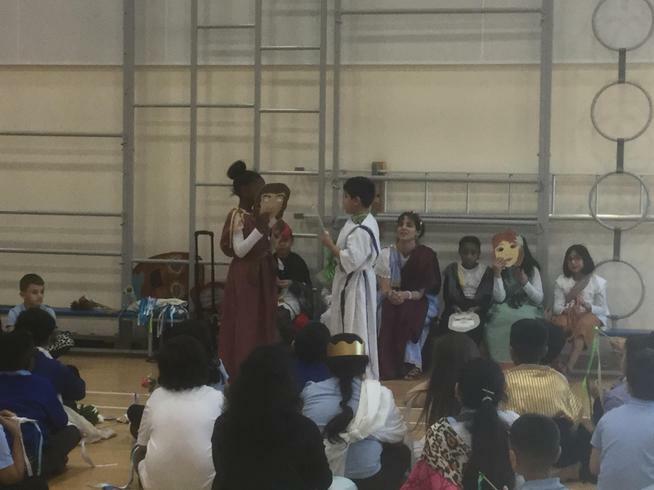 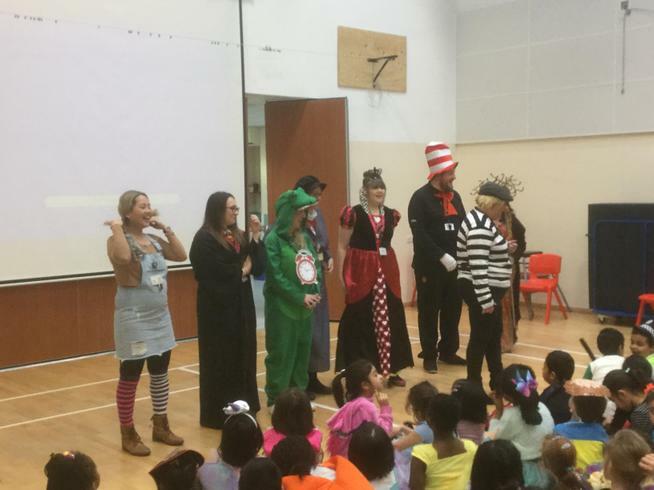 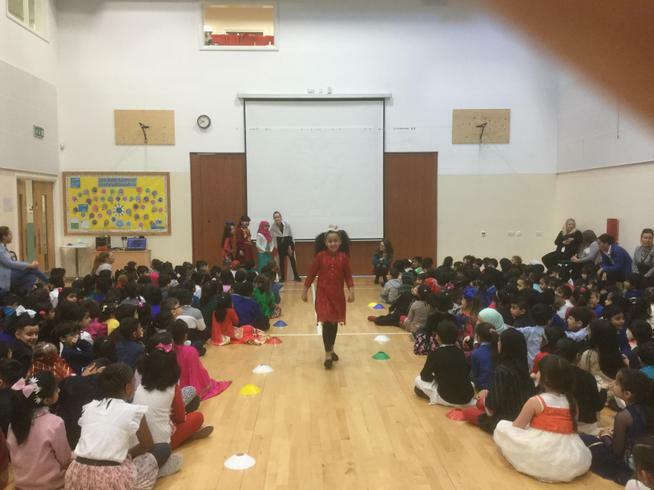 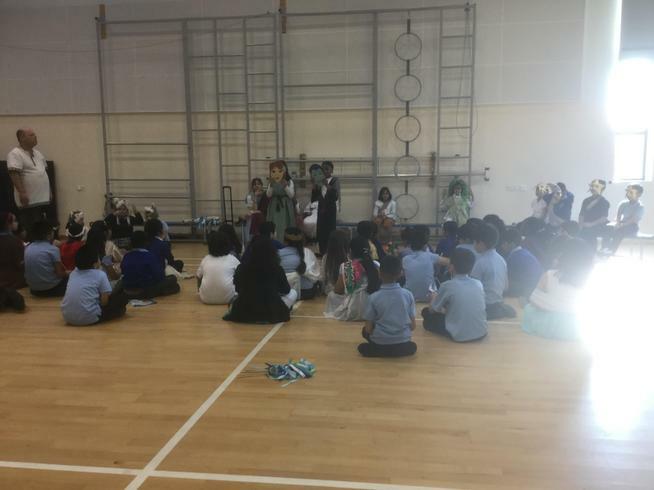 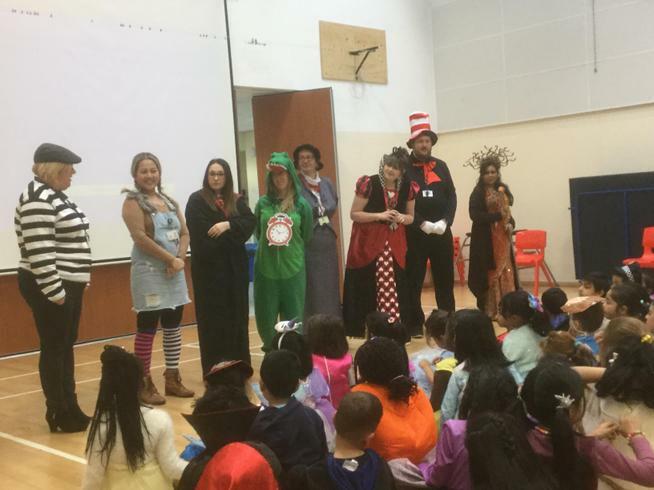 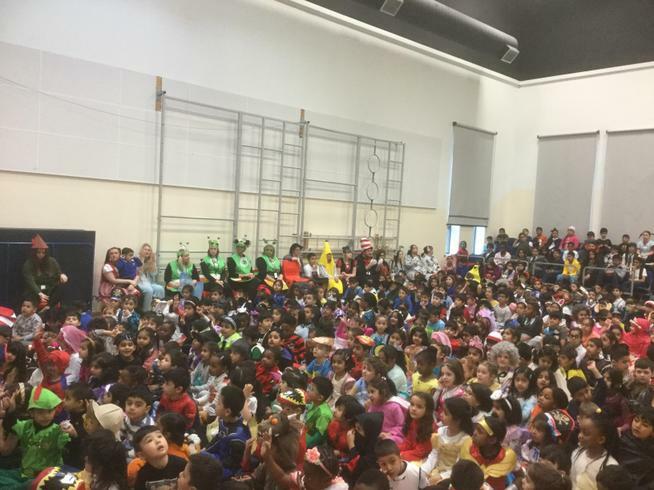 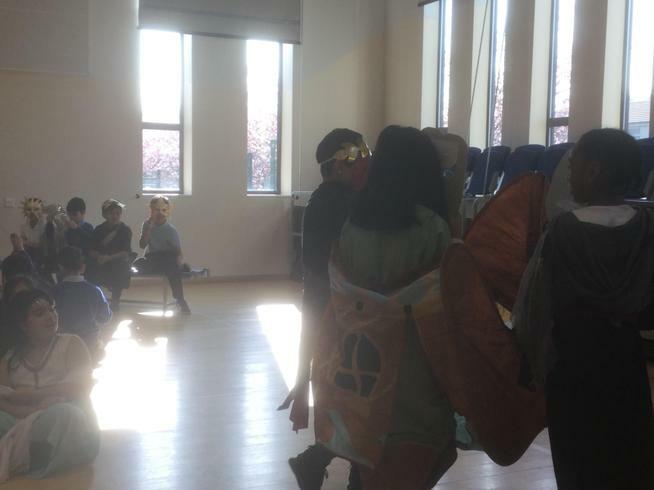 We launched the day with a special assembly in the school hall; teachers and children took inspiration from their favourite books and characters to showcase their costumes and one child from each class was chosen to be a winner. 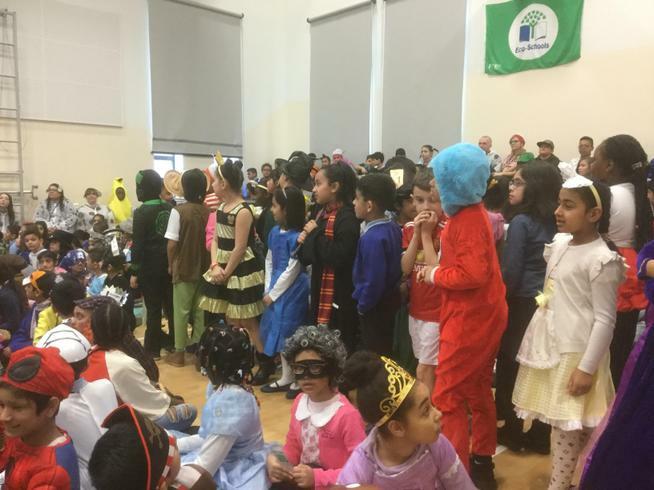 Lots of children had handmade their costumes, everyone looked amazing It was incredibly hard to choose winners this year because the standard of costumes was so high. 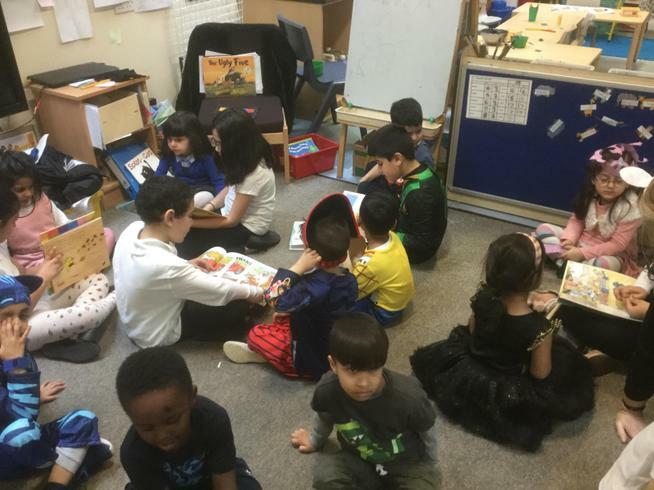 Back in the individual classrooms, there were several activities throughout the day. 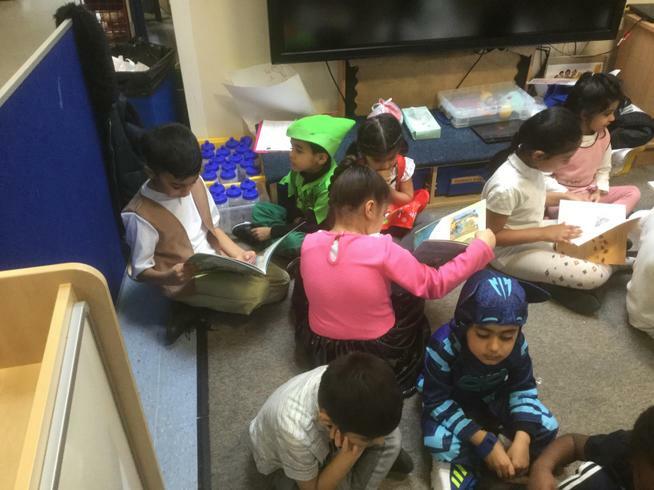 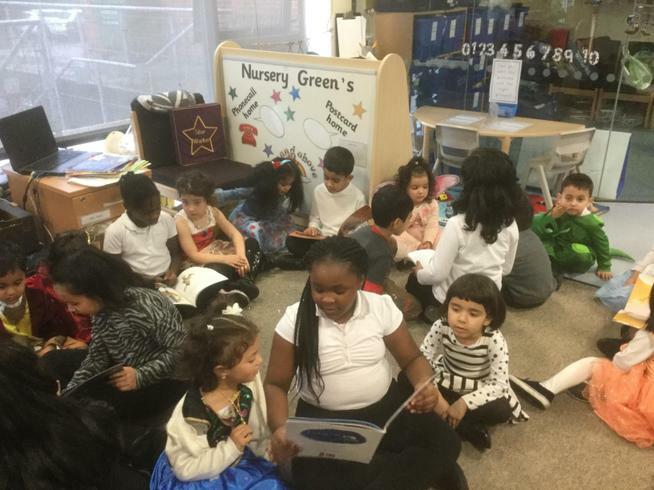 In the afternoon, 3MG took the joy of reading and shared it with nursery children. 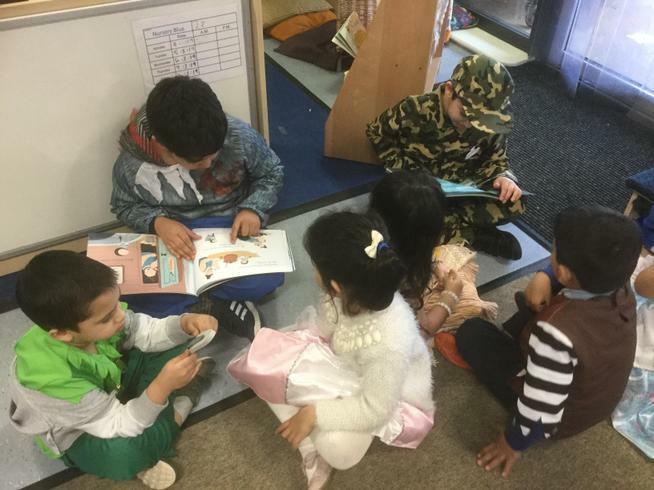 We all enjoyed reading books to our little readers. 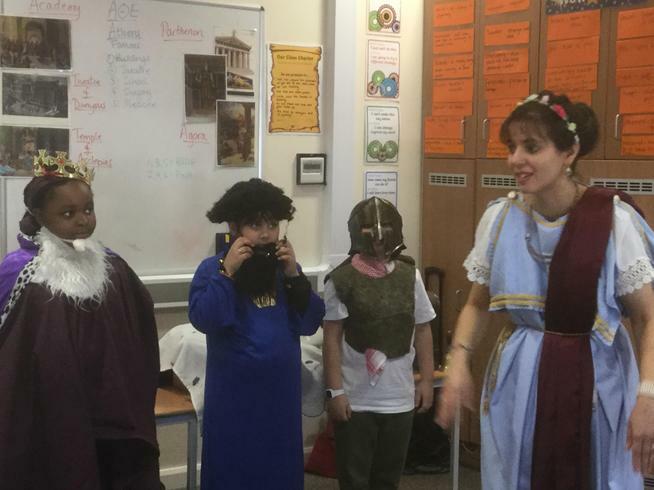 Our topic of the Ancient Greeks has brought us to be time travelers. 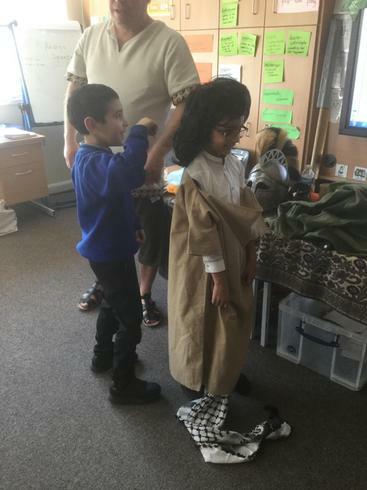 We stepped into history and discovered a number of interesting and interactive cross-curricular links. 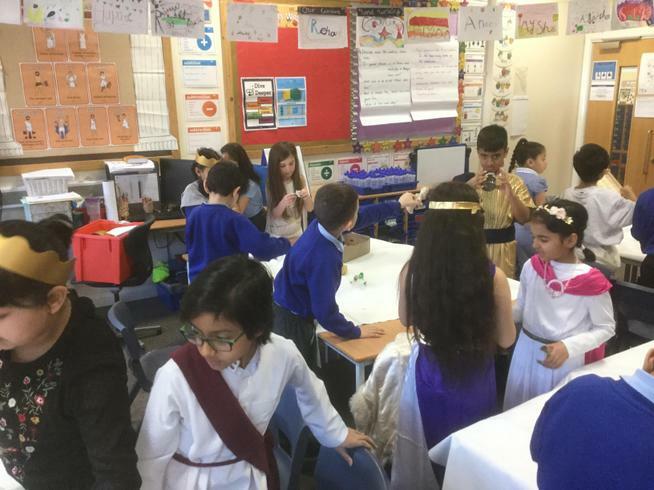 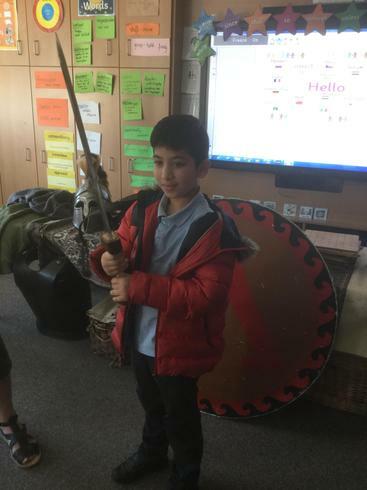 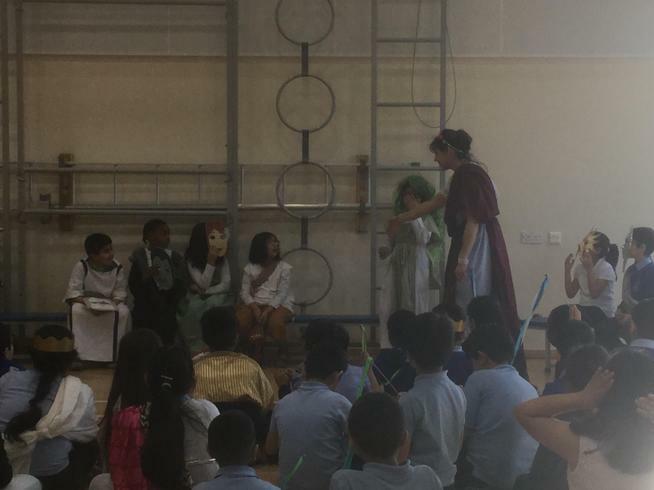 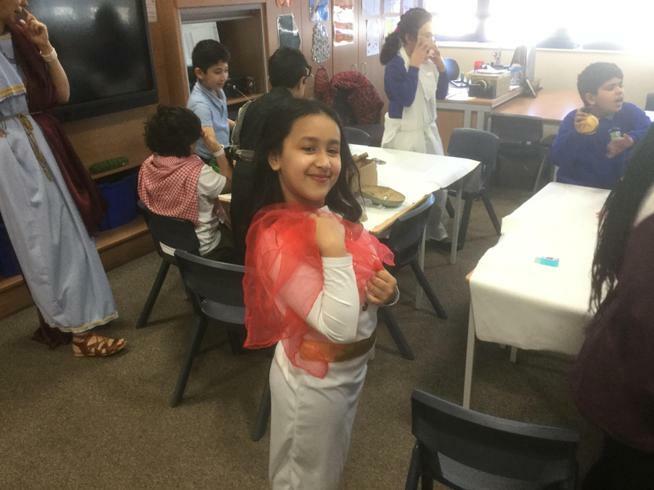 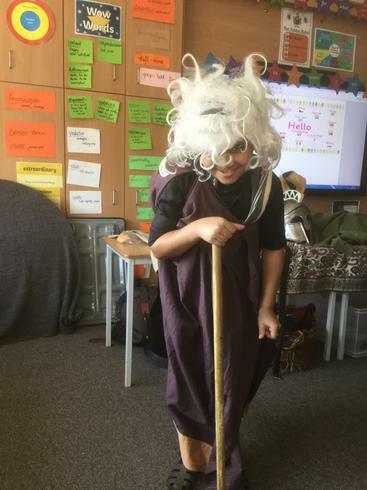 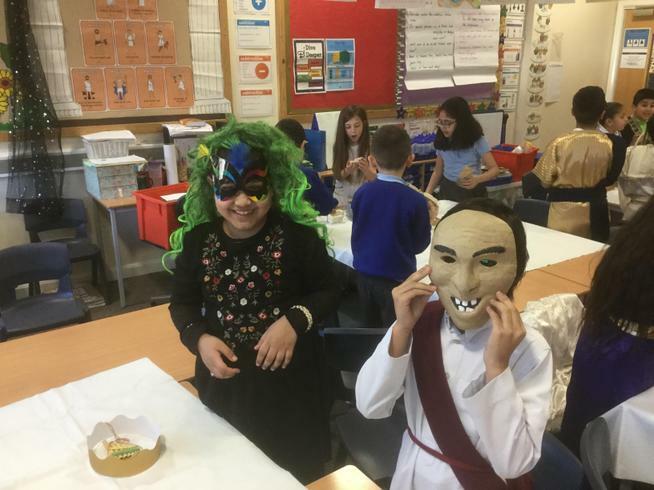 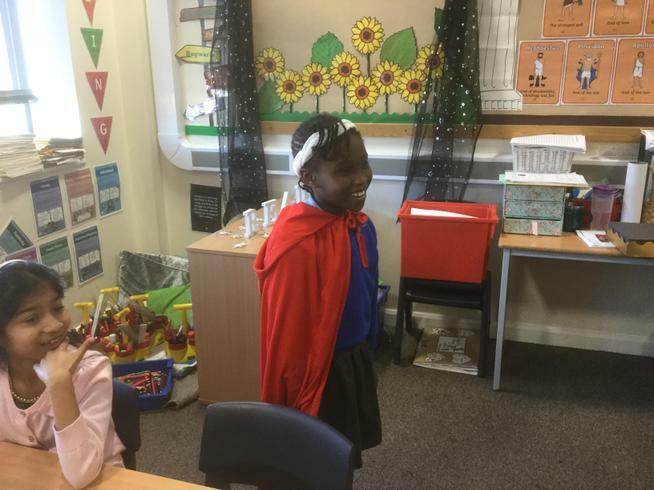 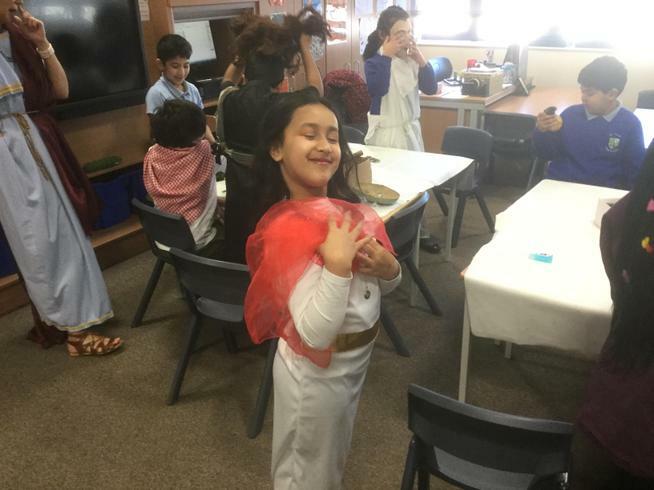 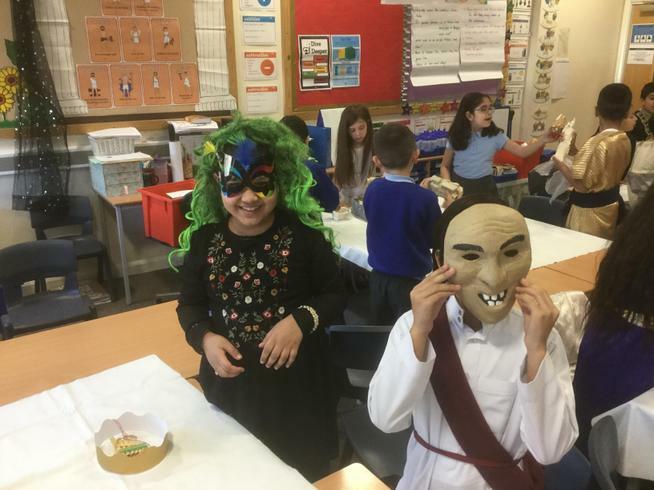 Much of our English work based around reading and exploring several Greek myths, leading towards writing our very own mythical creature, Greek-style stories and writing a news report. 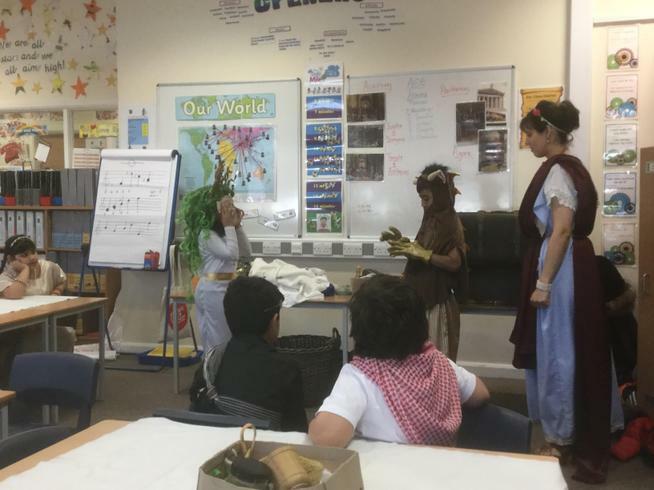 It was a fantastic opportunity for the children to use their imagination and creativity to produce some wonderful writing with lots of figurative language and varied sentence structures. 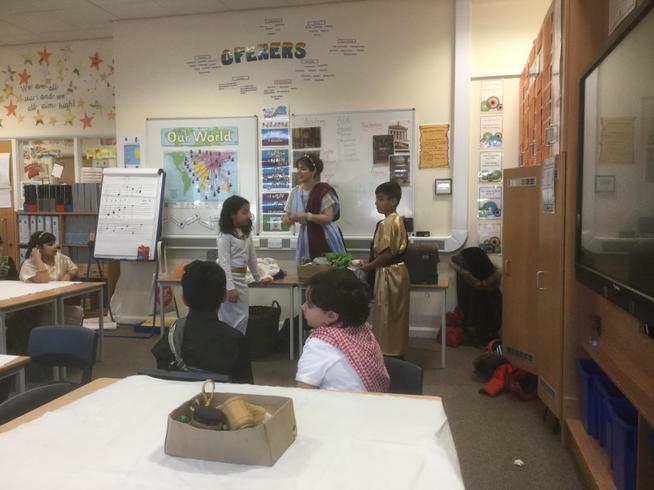 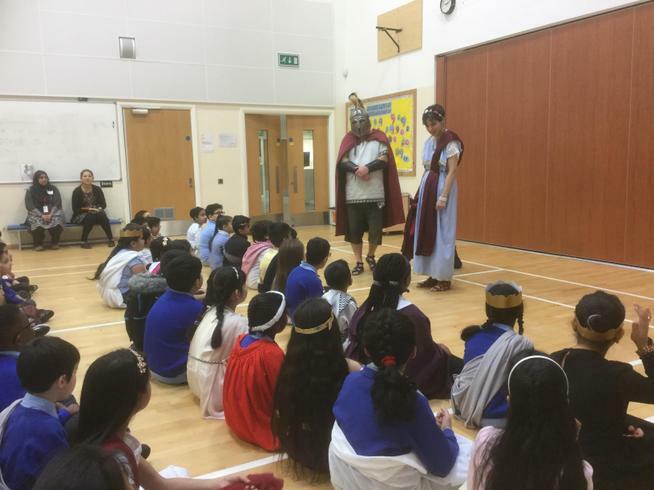 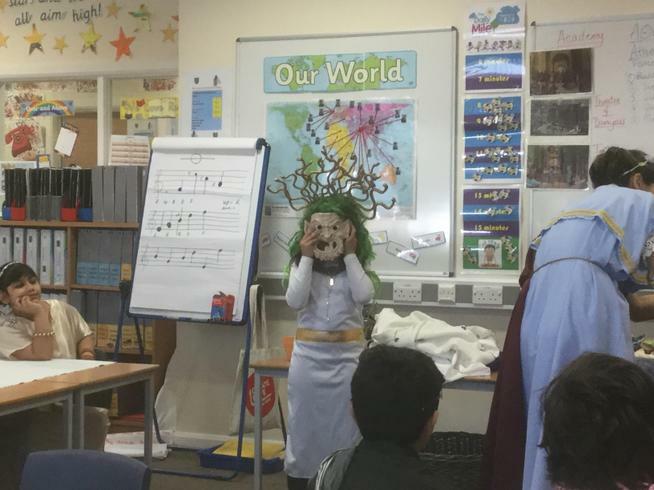 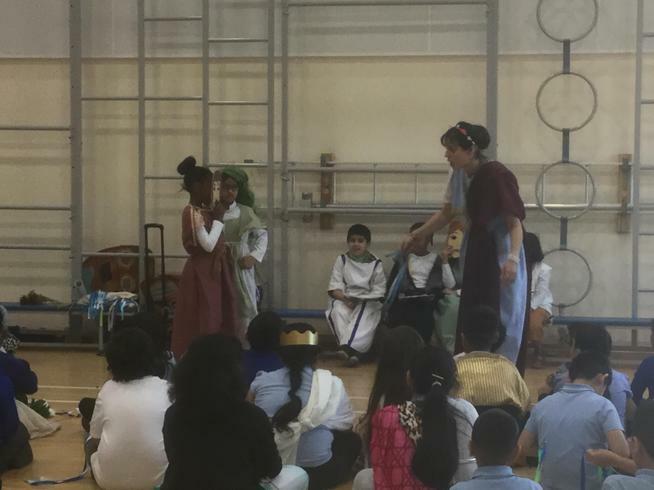 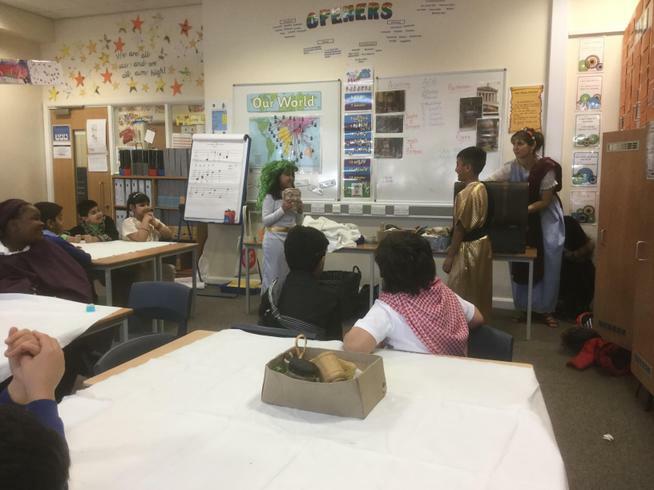 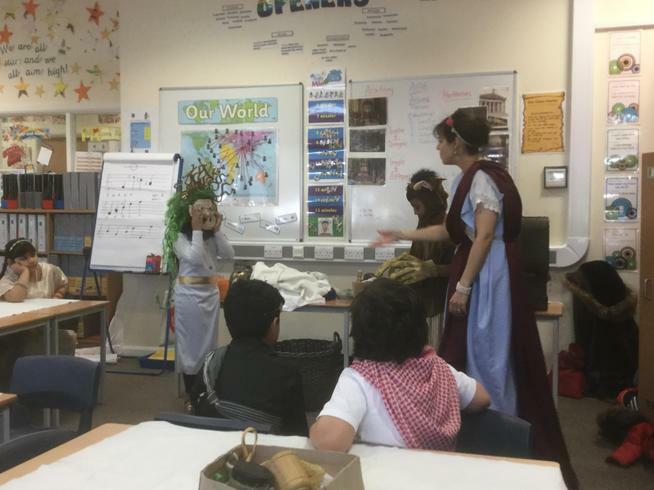 And today, we had two visitors from Ancient Greece. 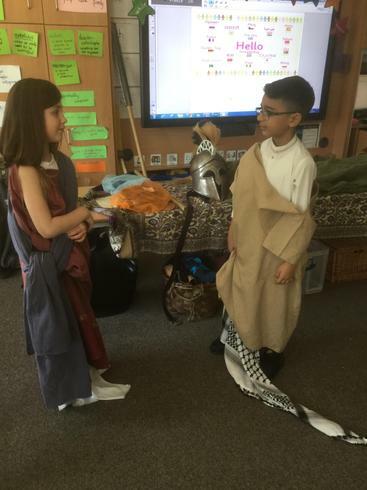 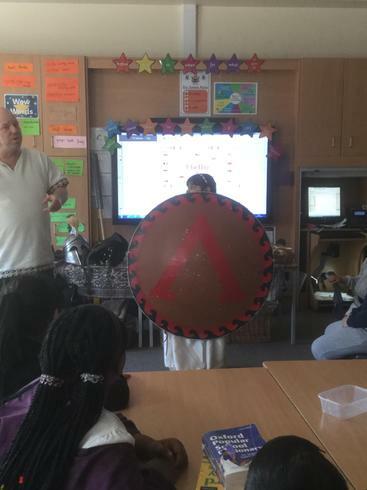 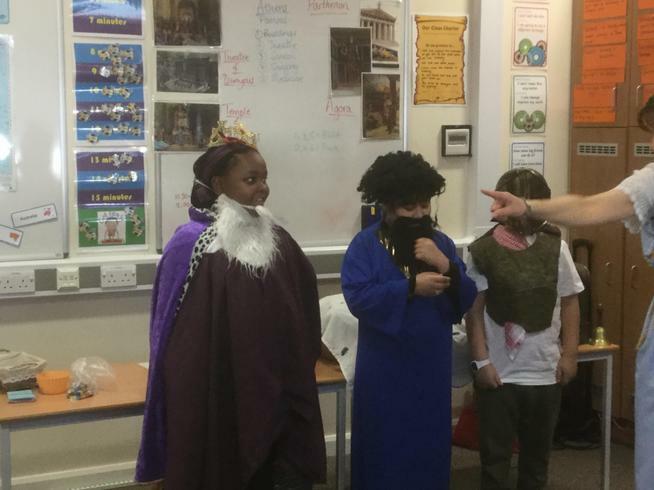 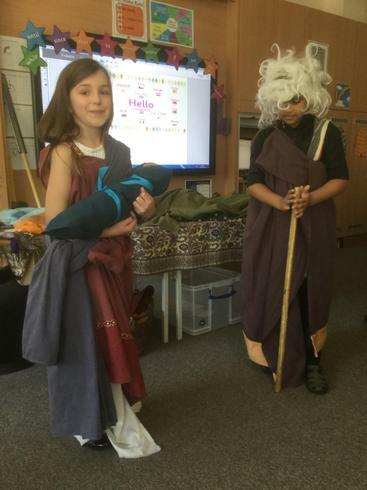 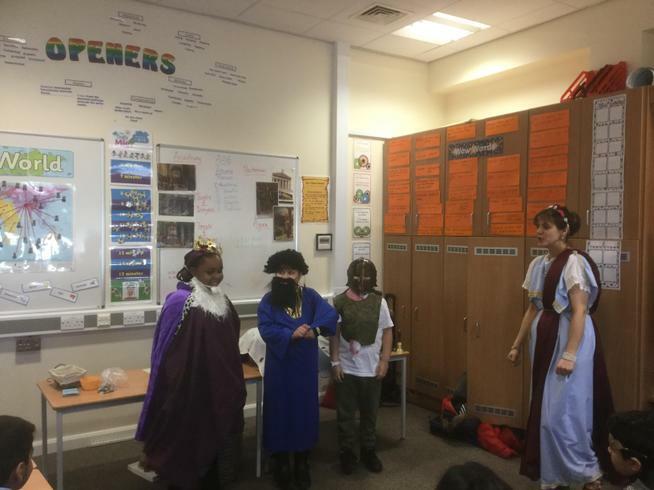 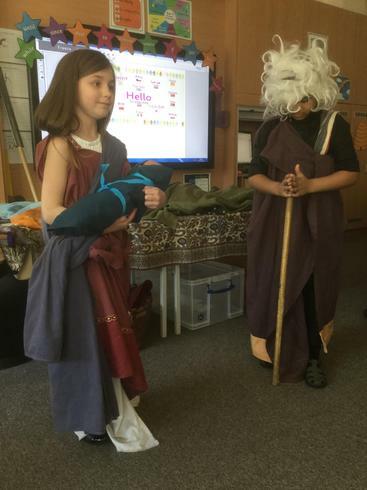 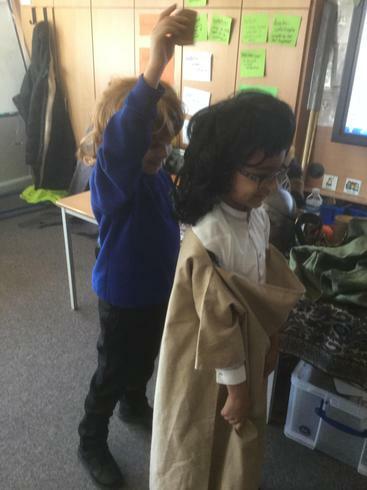 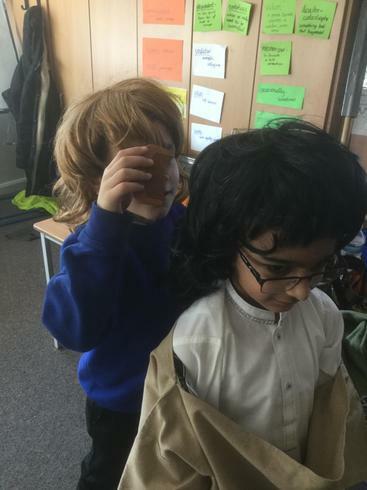 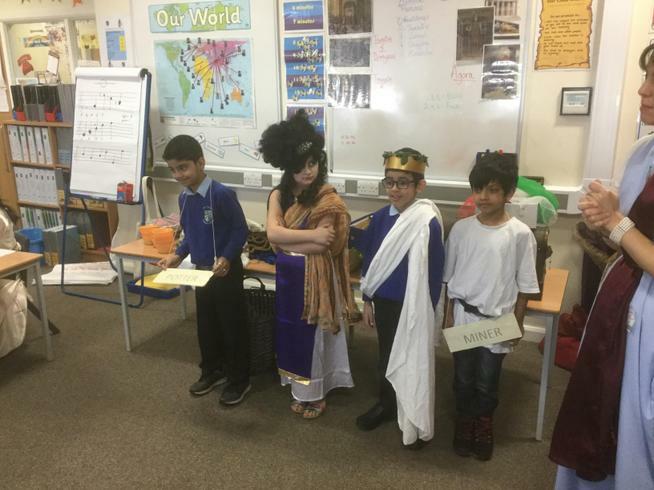 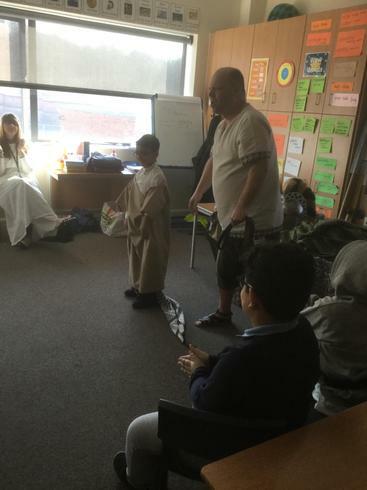 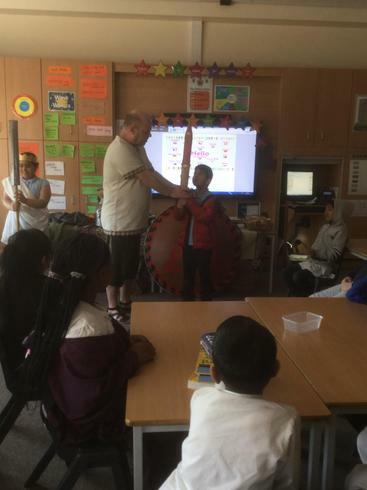 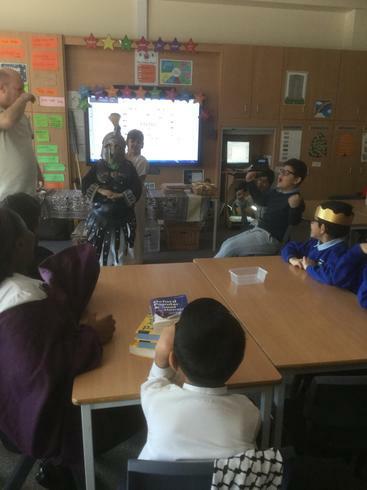 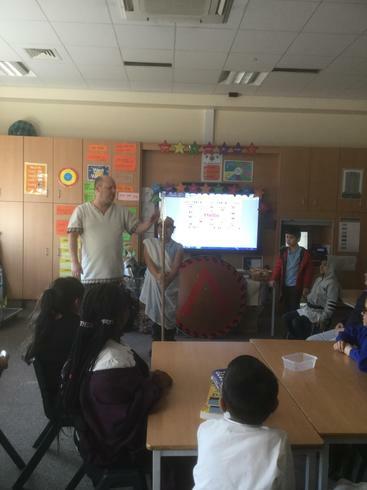 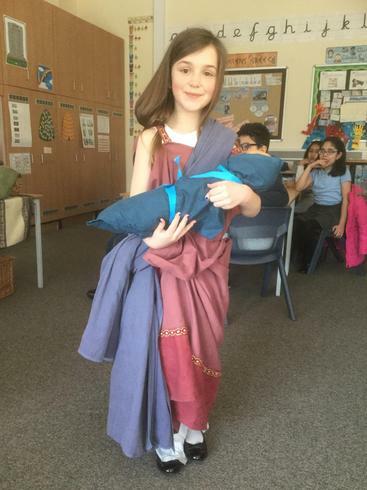 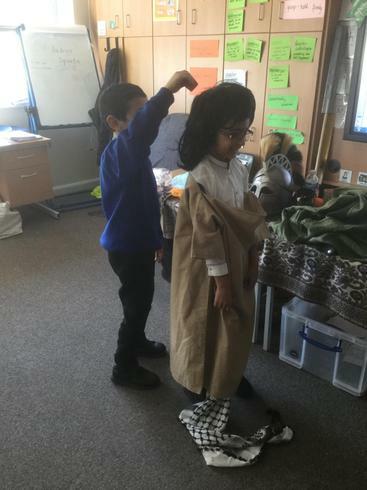 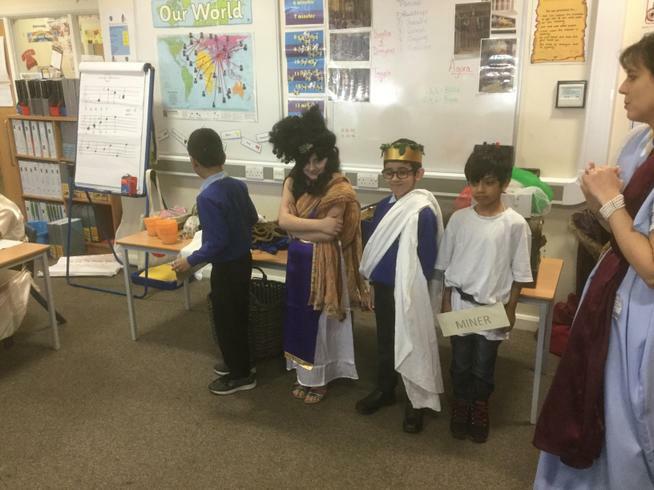 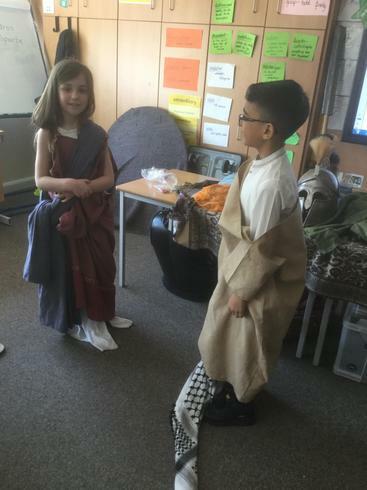 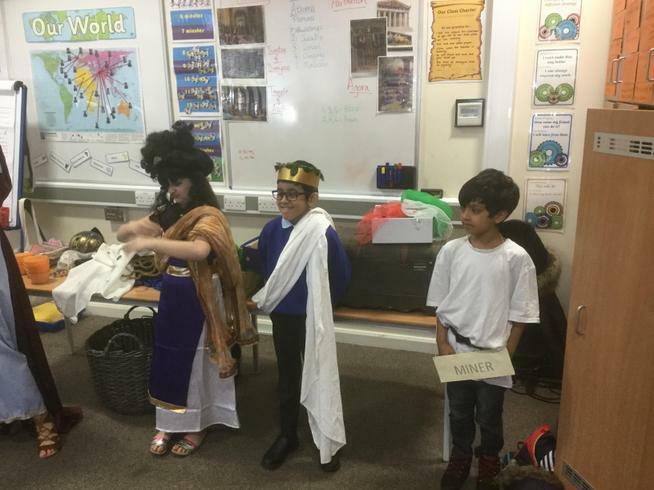 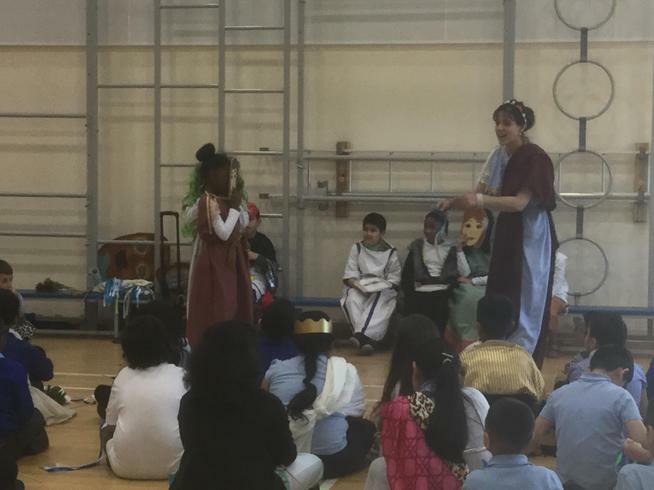 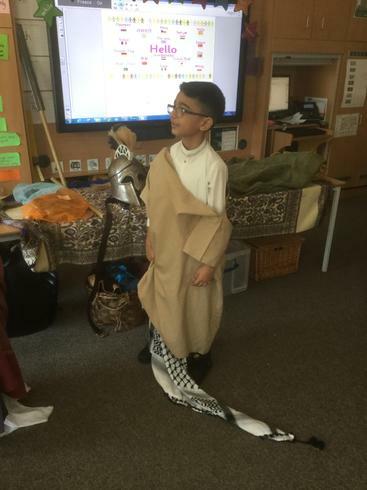 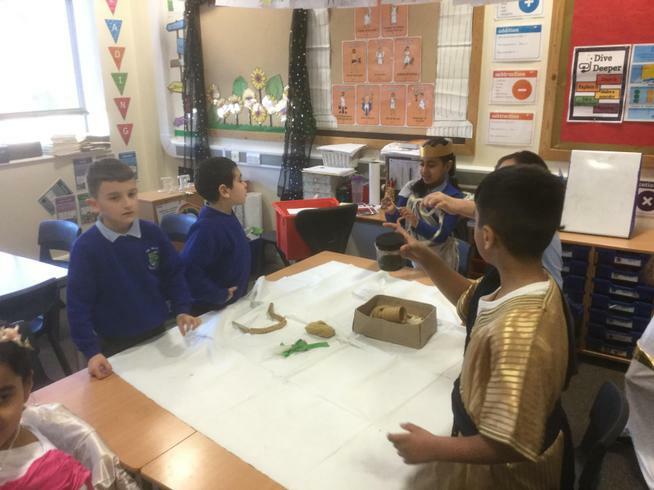 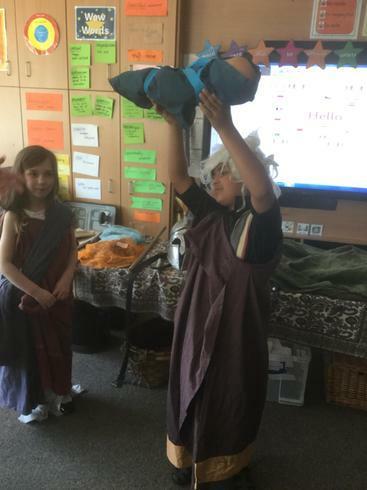 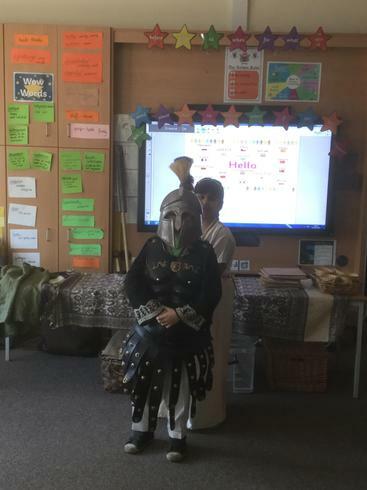 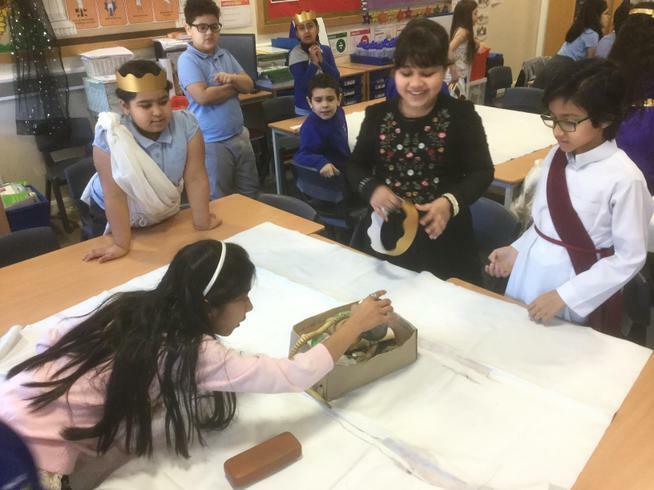 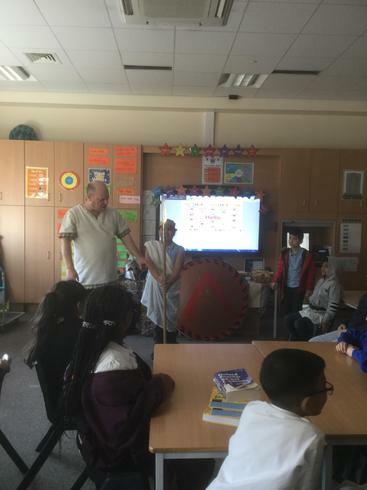 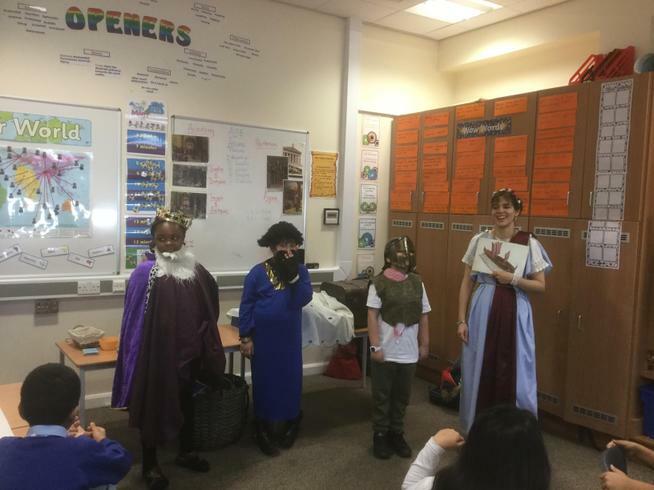 They came to show and tell us all about Ancient Greeks. 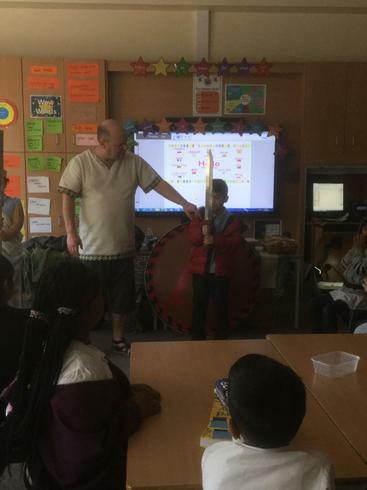 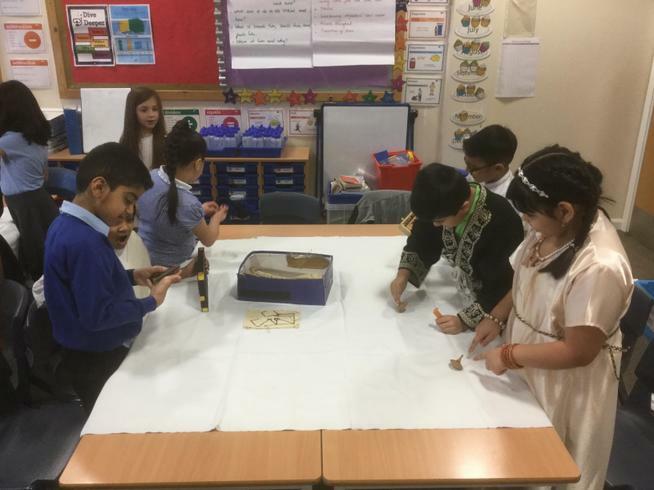 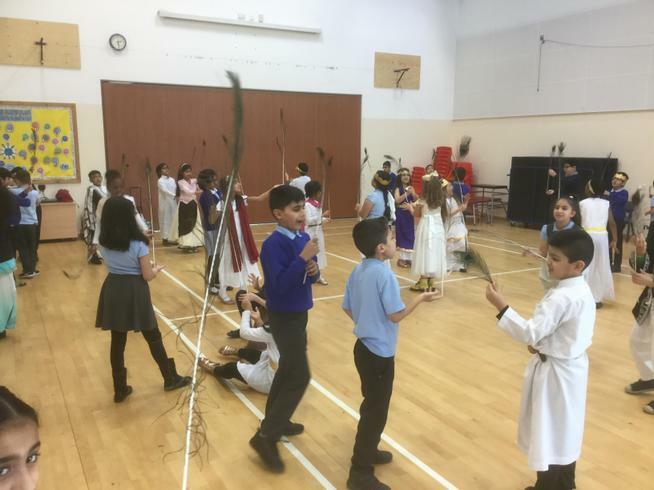 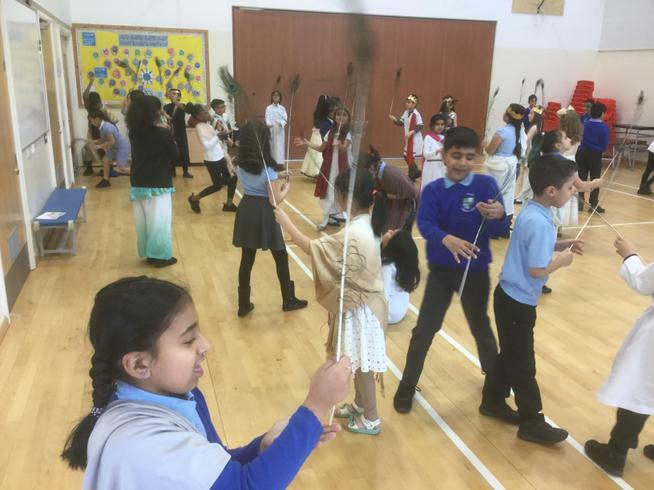 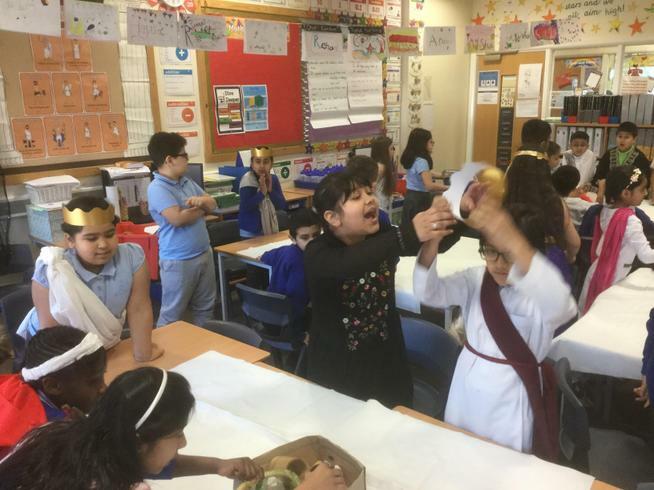 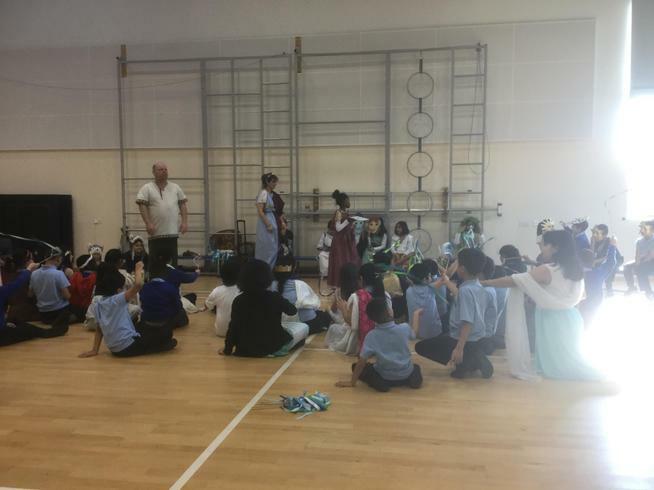 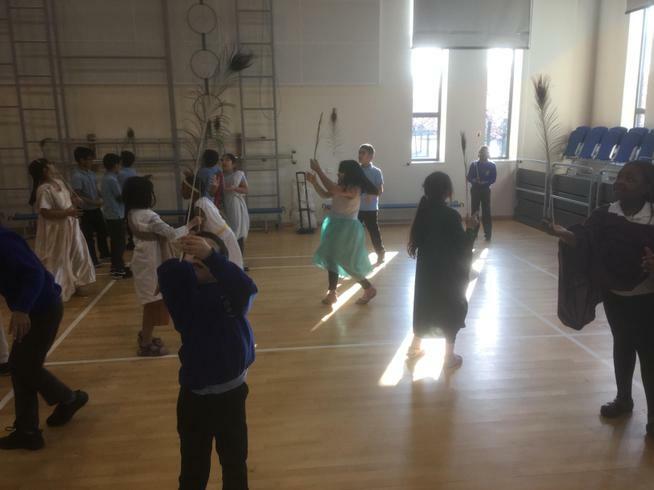 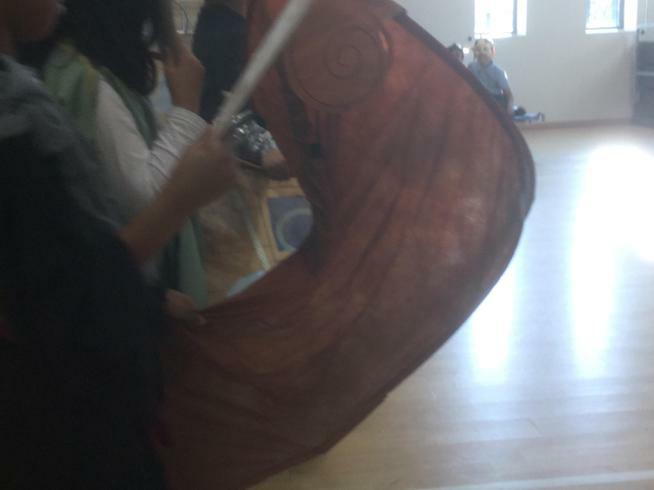 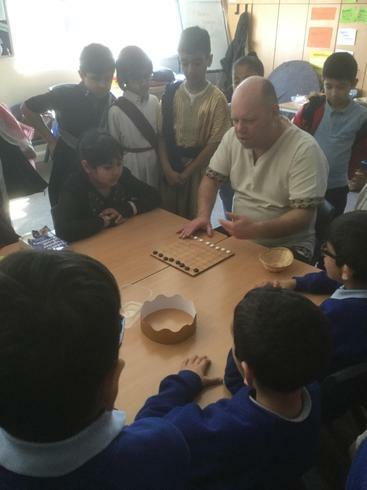 We re-enacted the Battle of Marathon between the Persians and the Athenians. 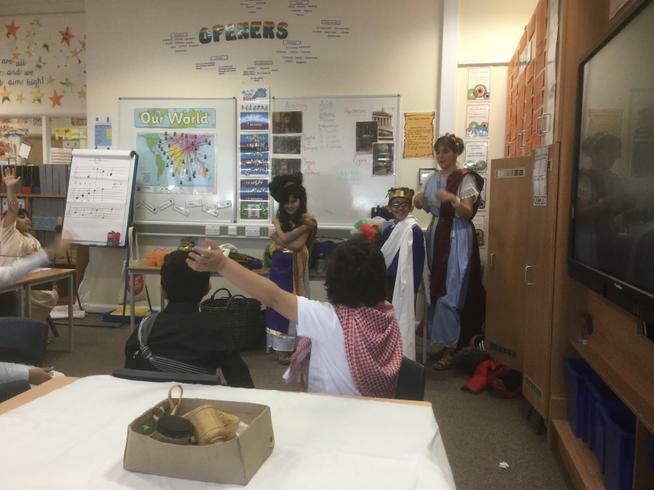 The main characters included King Darius and commander Datis of the Persian Army and General Militades and Pheidippedies of the Athenians. 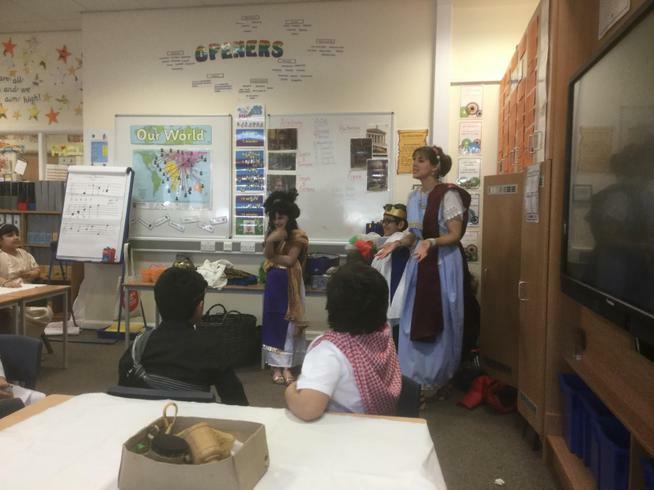 The battle was one of the most important battles in history and was won by the Athenians. 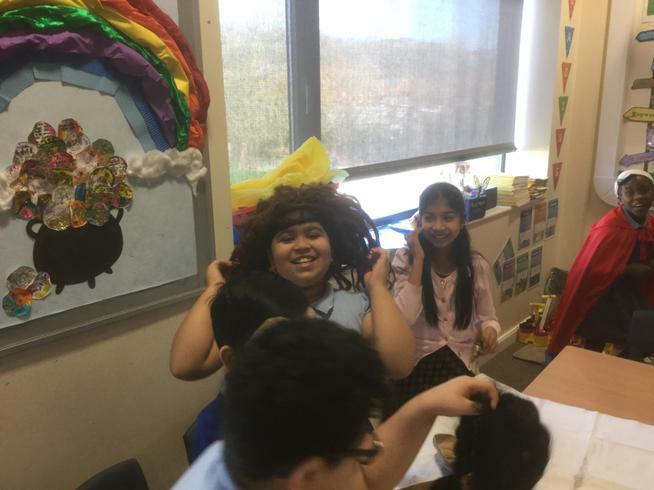 At Irk Valley Community School, diversity is a point of pride, something that is shared and celebrated within our community. 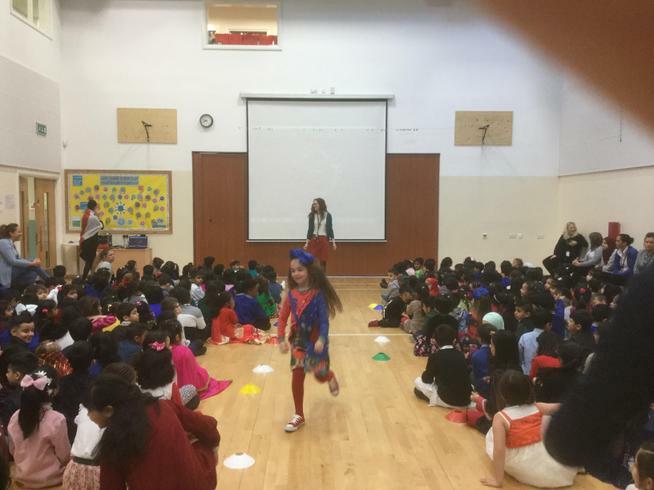 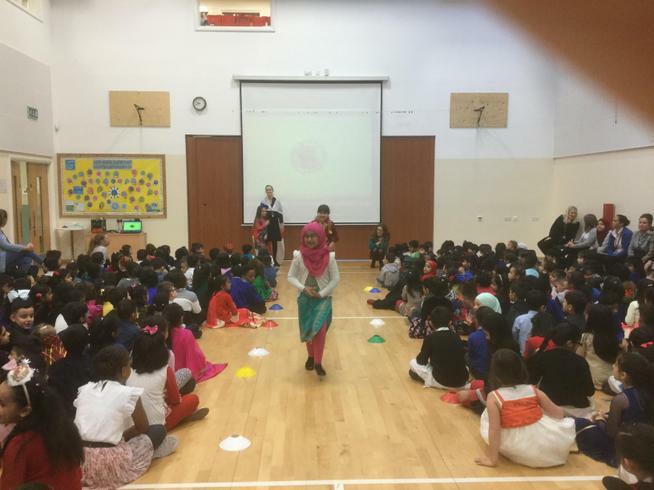 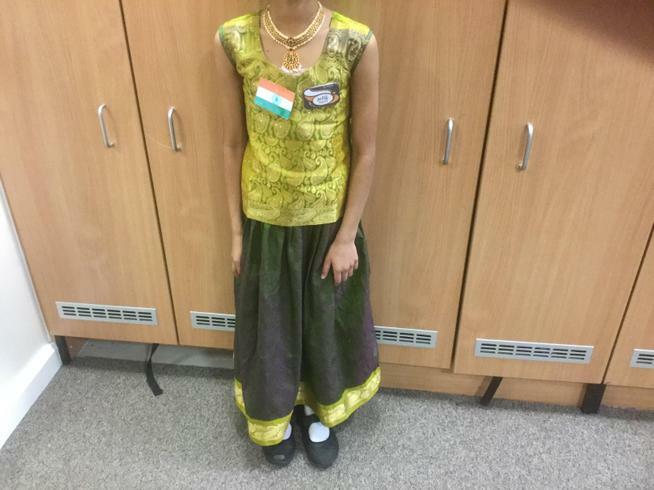 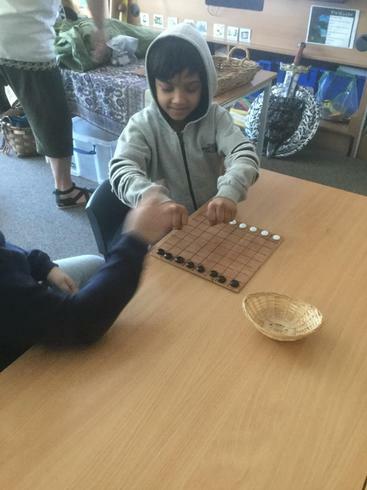 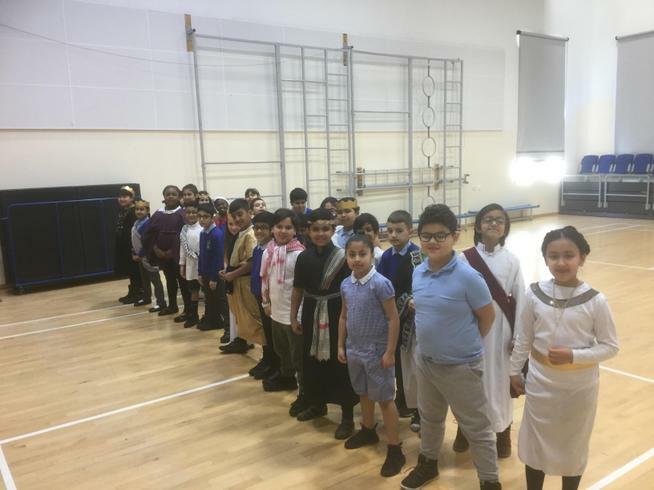 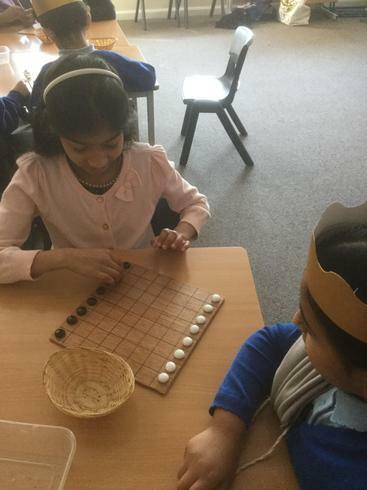 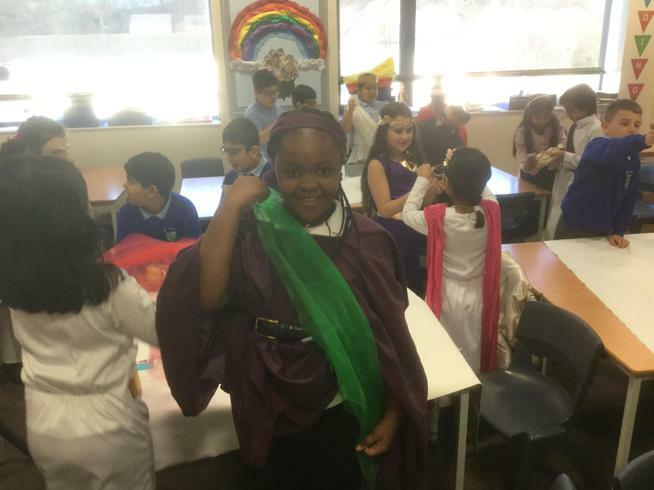 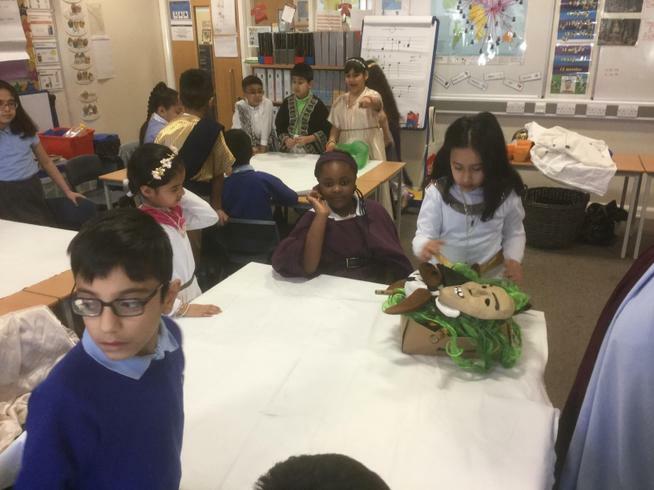 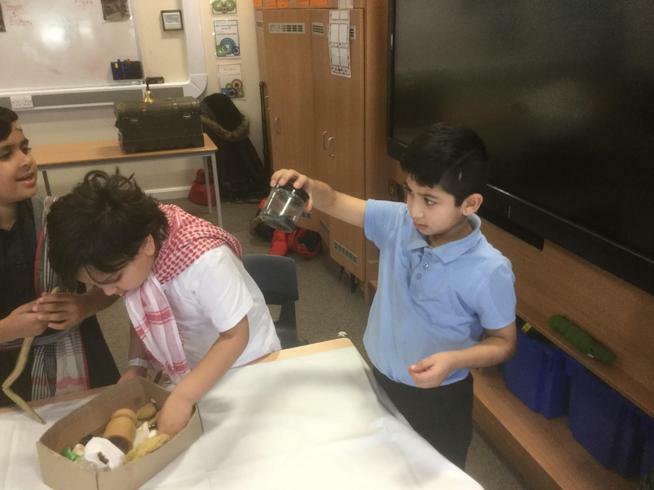 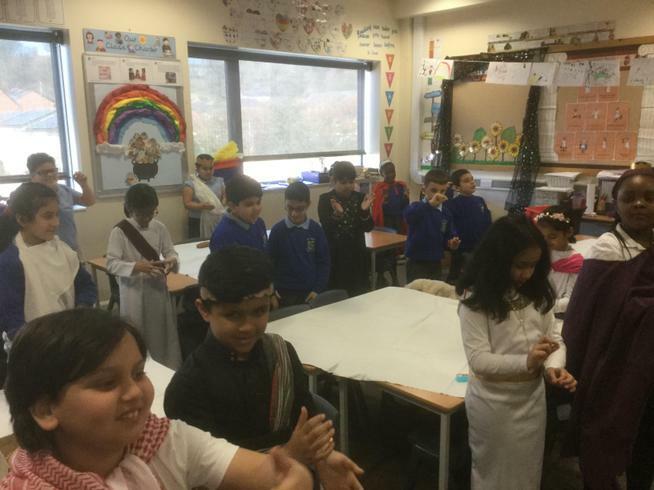 On 14th January 2019, Irk Valley hosted its annual Multicultural Day. 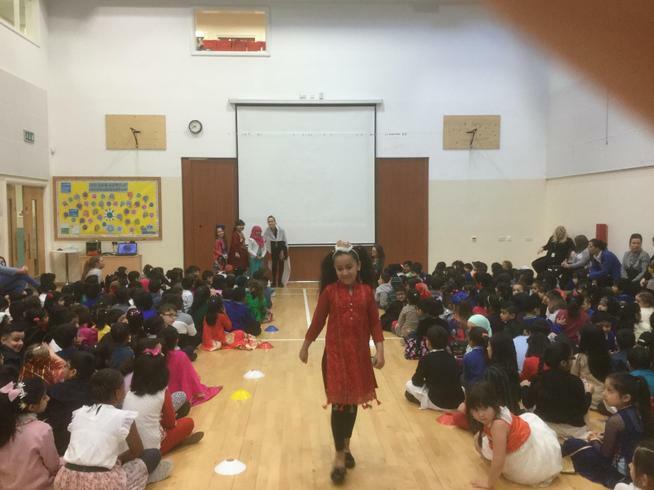 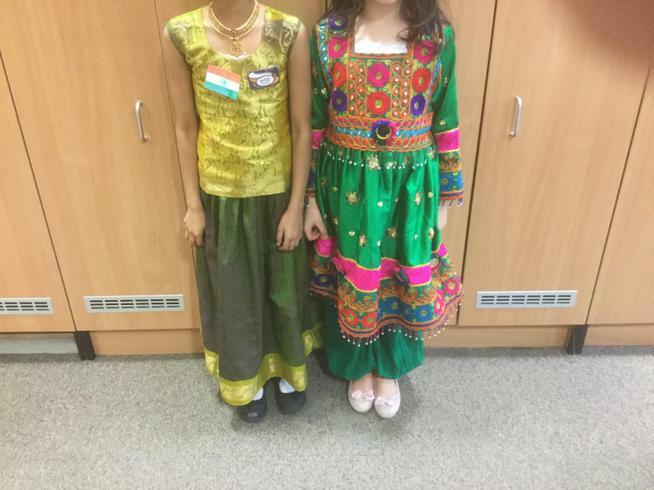 We began the day with a school-wide assembly and children wore their best clothes or traditional clothes to showcase our different cultures. 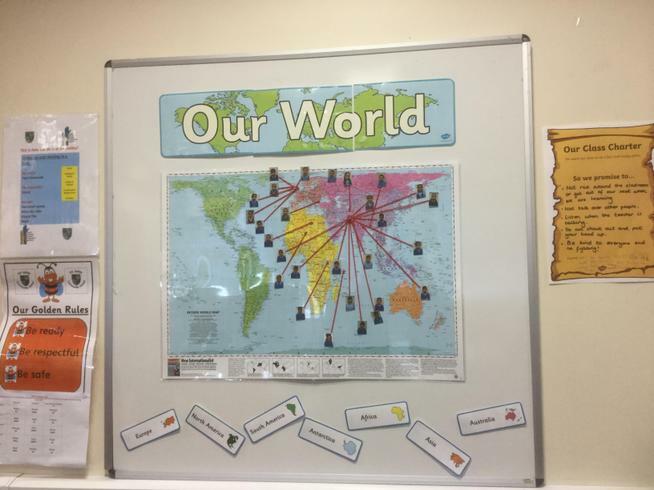 Each class was assigned a country to study. 3MG was assigned to study Poland as we have a partnership with a school in Poland; one of the lessons during Multicultural Day was to find Poland on the map. 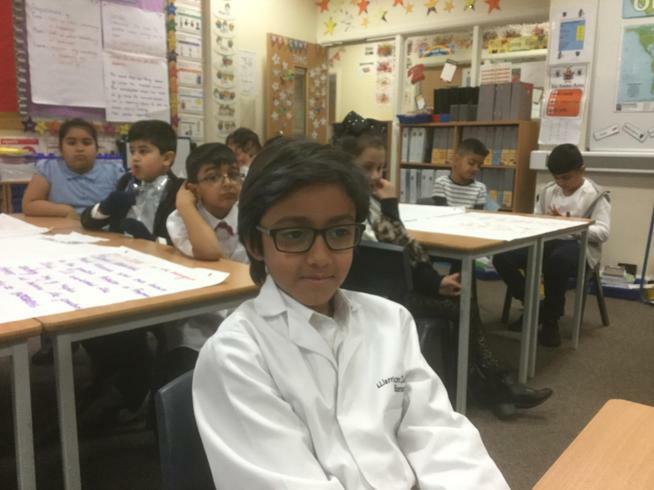 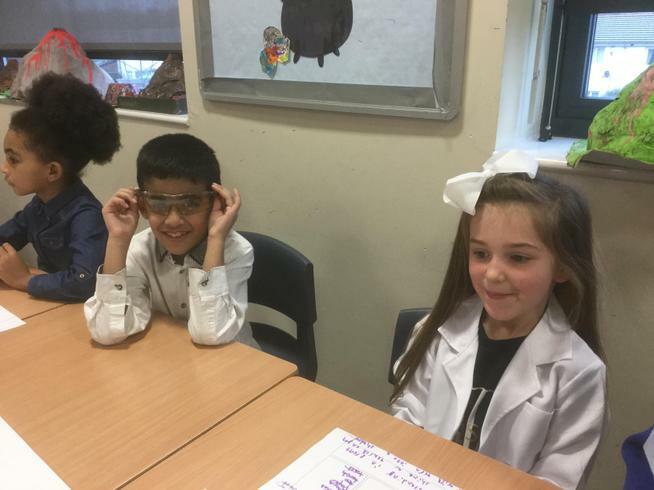 On Wednesday 6th December 2018, a Science Boffin visited Irk Valley Primary School and helped us to learn how fun Science is by creating some crazy experiments for the children. 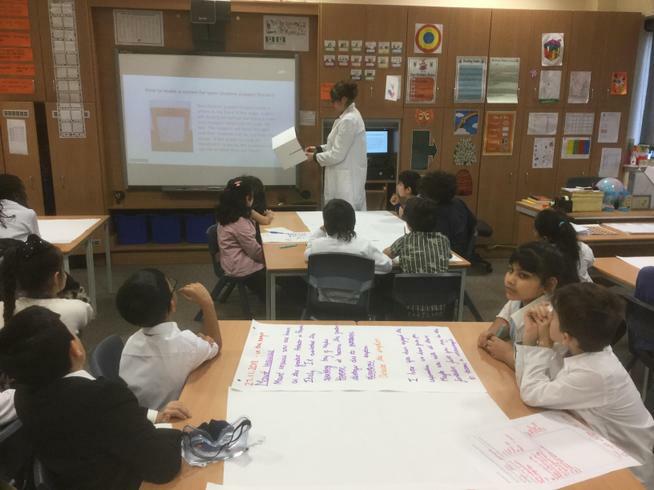 Ms Azhar, Science Coordinator and a class teacher at the school, organised a whole day of fun science activities to promote curiosity and learning among classes. 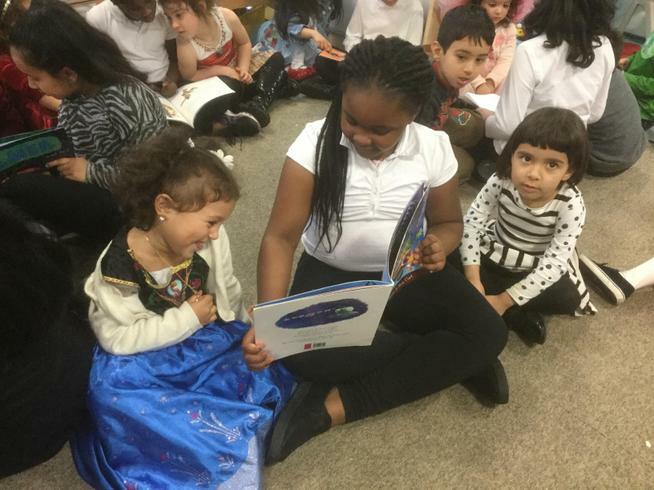 "I'll remember this day forever!" 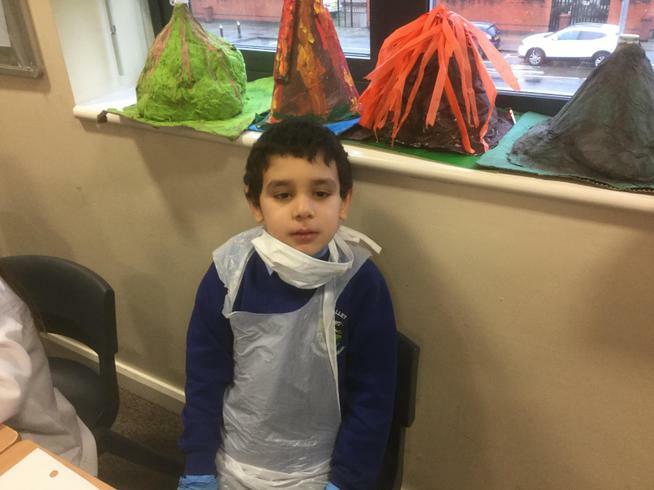 "It was awesome and I want to not stop learning science!" 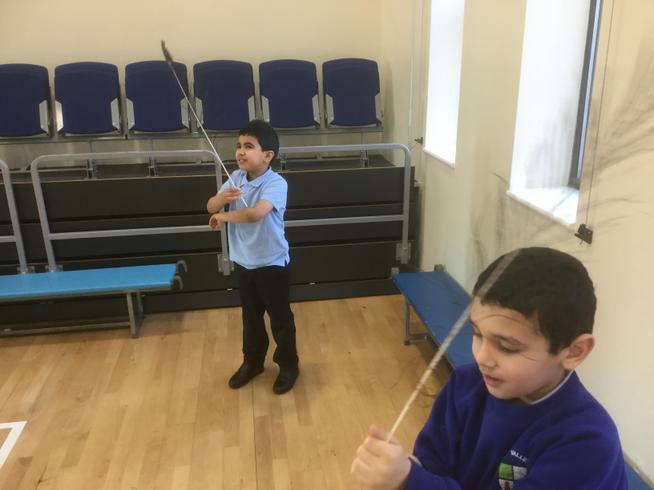 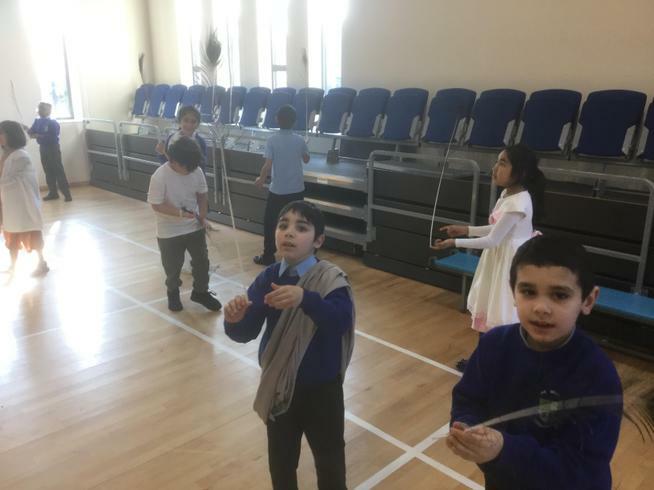 "We loved playing with bubbles in Mr Young's class." 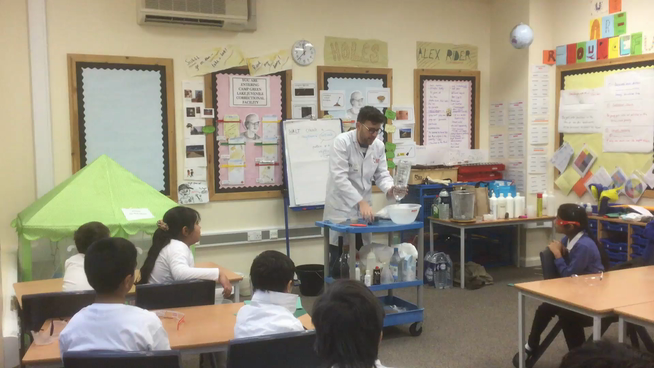 "I can't believe we made slime in school!" 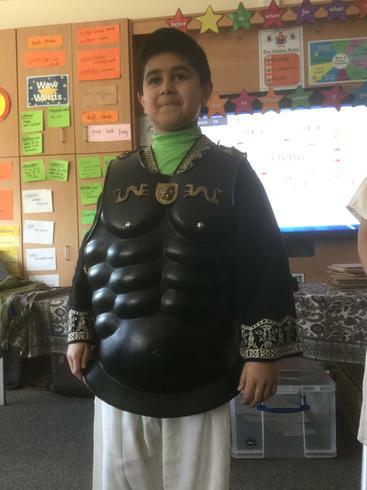 WARNING!!! 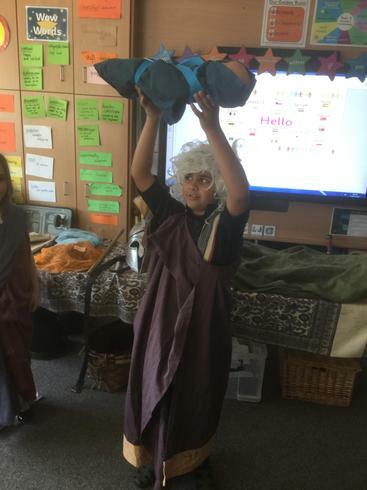 Please do not do this at home! 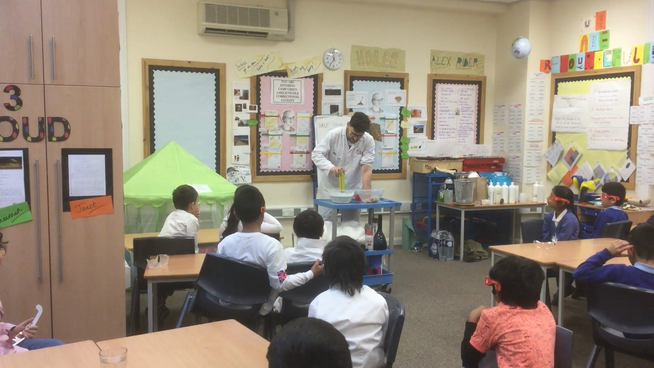 Only a trained Science Boffin can do this! 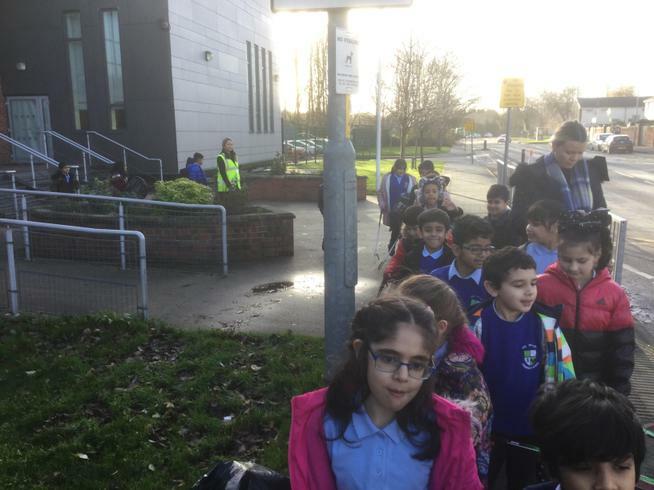 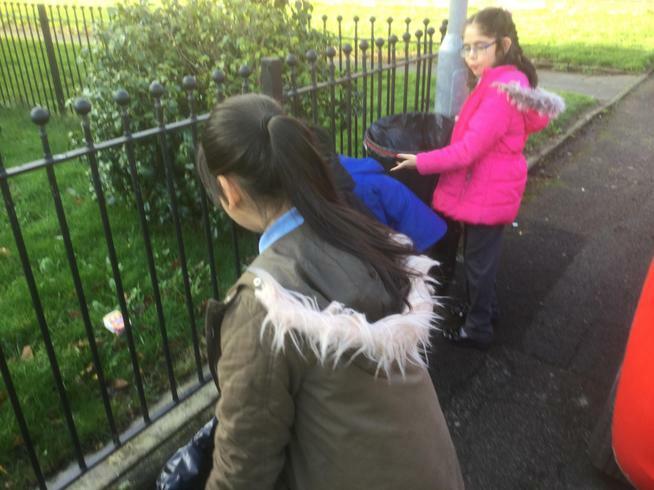 Pupils of 3MG have shown their dedication to the local community, by taking part in a series of litter picking activities as part of our school ongoing ‘Big Clean Up’ in keeping our community safe and clean environment. 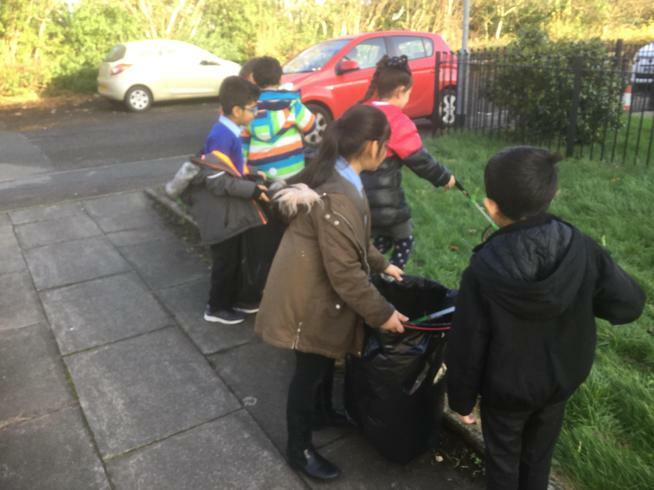 The children spent their Friday afternoon (30.11.2018) collecting rubbish around the school as part of a major plan to improve the image of the area. 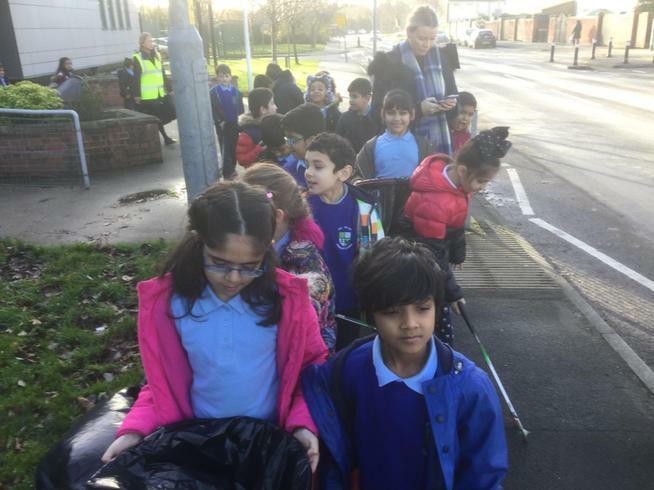 Our planet is changing. 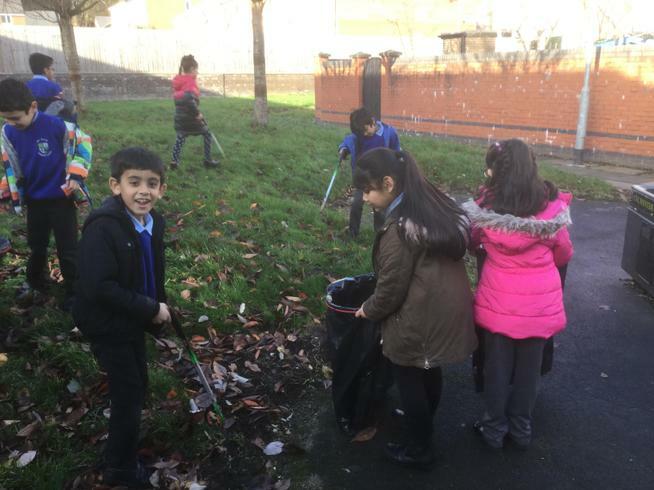 We need to help it change for the better and we will be asking for your help to do that! 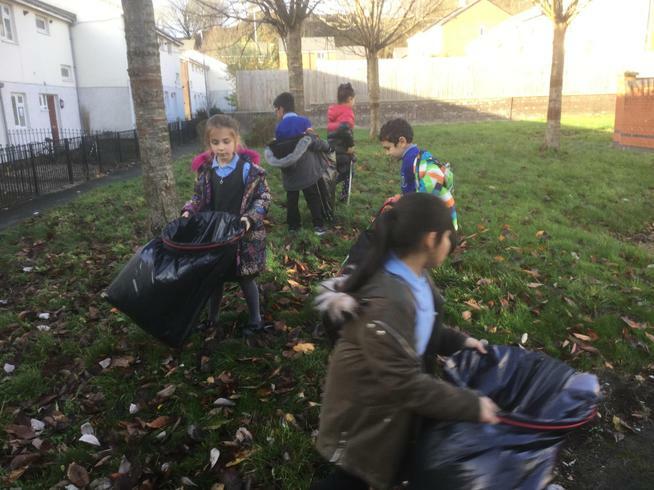 There are a lot of things that affect our planet in a bad way but the good news is that everyone can help to reduce them and do their bit for the environment. 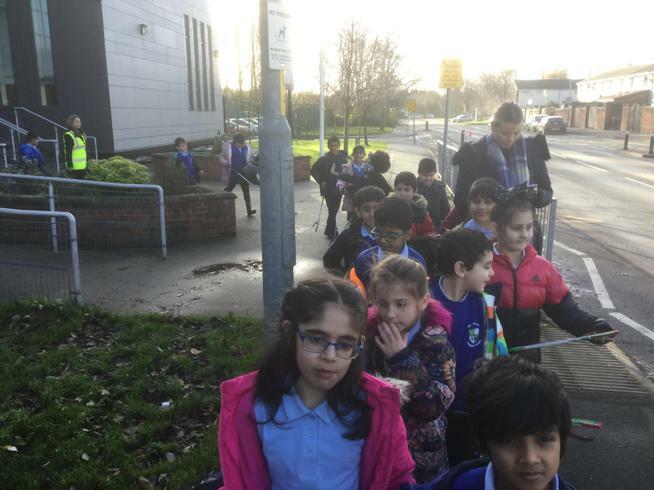 It was No Electricity Afternoon on Friday (30th November 2018). 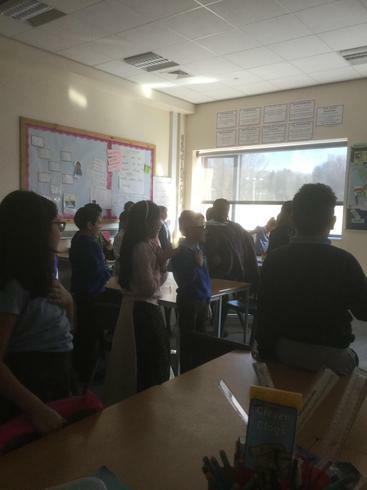 From 1.30pm onwards, the whole school were not using lights, computers, laptops, Ipads etc. 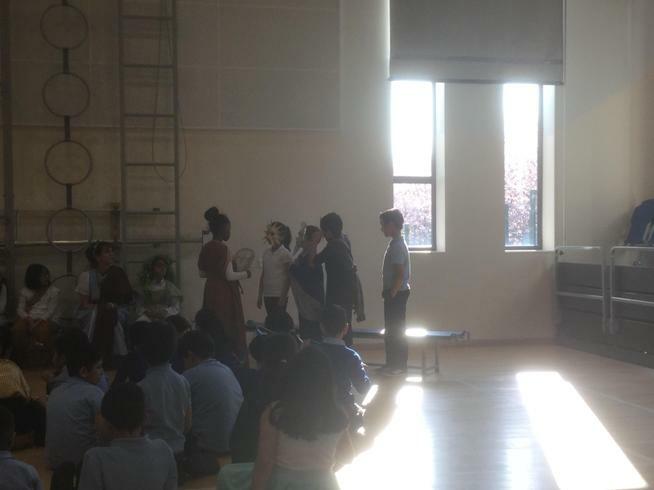 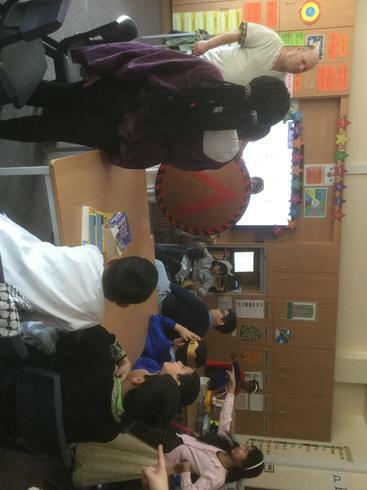 We did switch off fortnight lesson and lots of fun activities which aims to reduce the amount of electricity we waste. 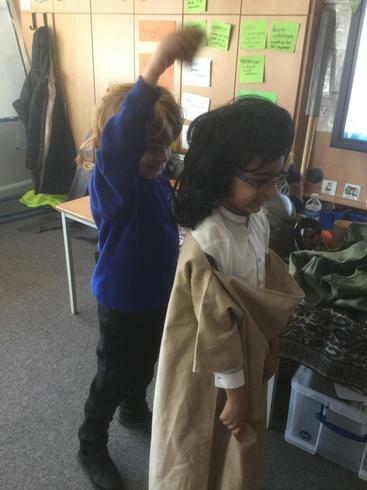 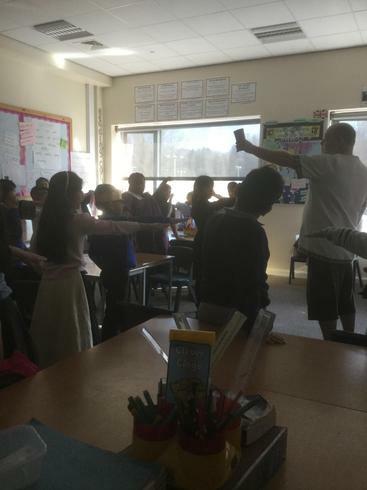 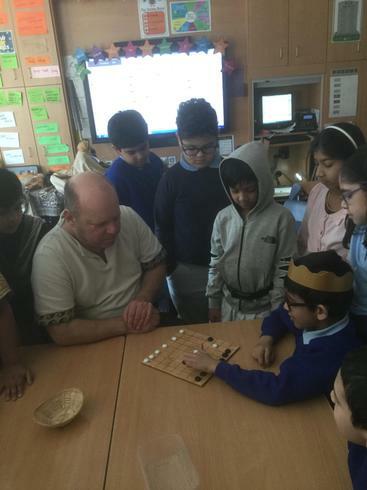 We played some games to understand how we can save electricity and then did an audit of our school to find out which classes were wasting electricity by leaving things switched on when no-one is in the room. 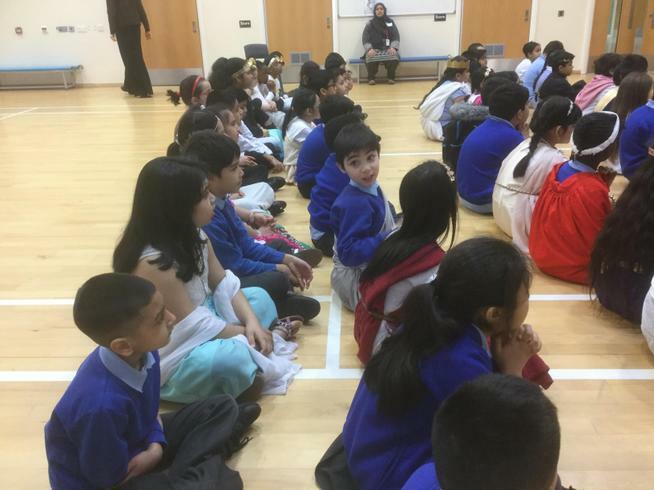 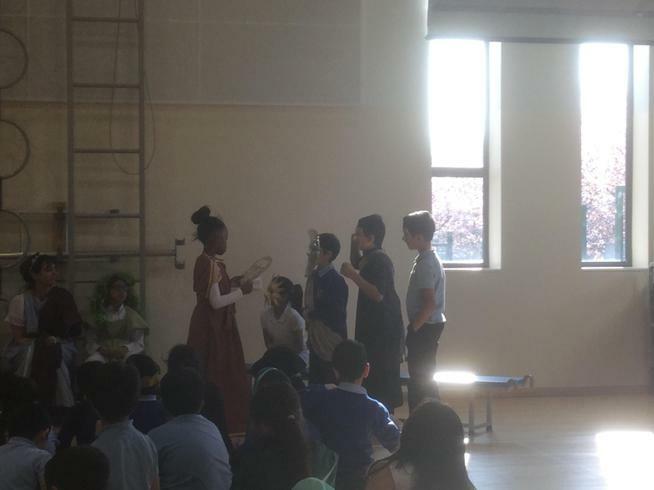 We prepared an assembly and teach the other children (and staff!) 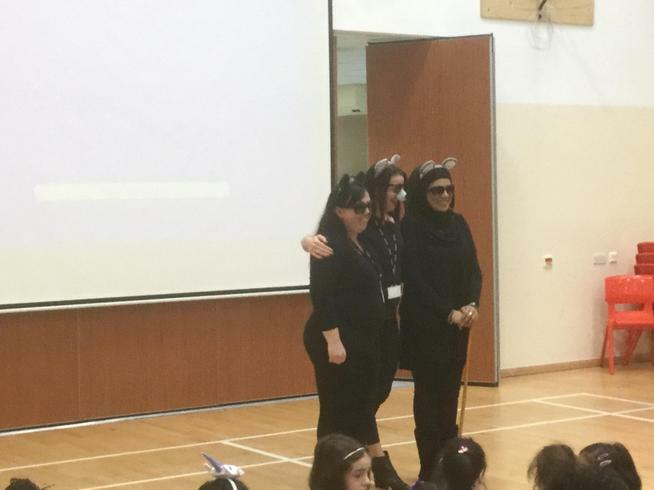 in our school about how to reduce the amount of energy we waste. 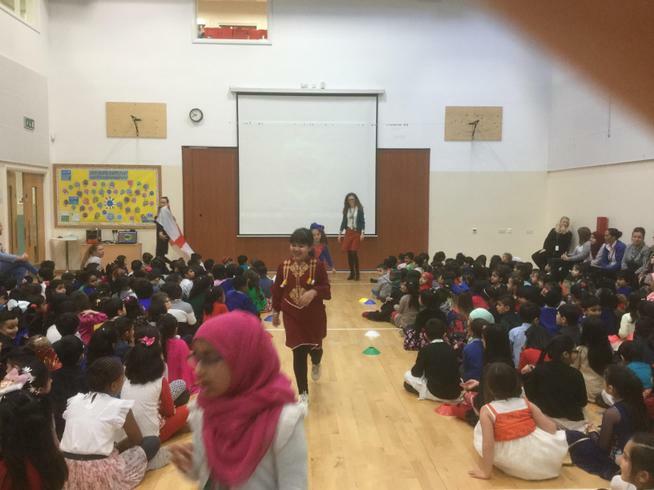 Our assembly was a great success and we will be working hard over the next two weeks to reduce energy waste in our school - giving out stickers to reward those doing a good job. 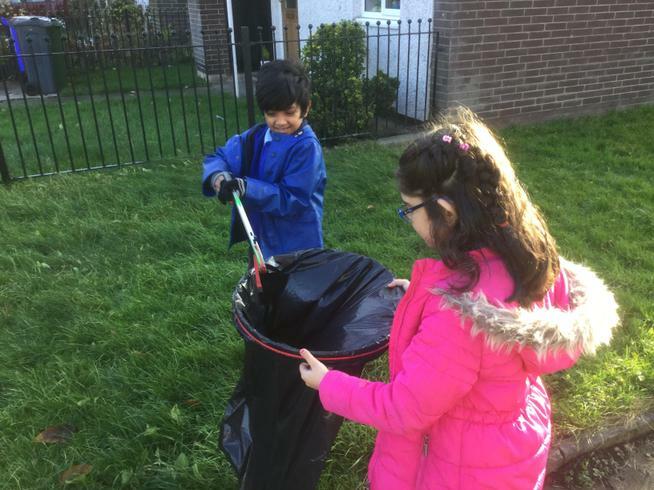 Our school Eco Team encourages children and staff on how can we make our school more eco-friendly. 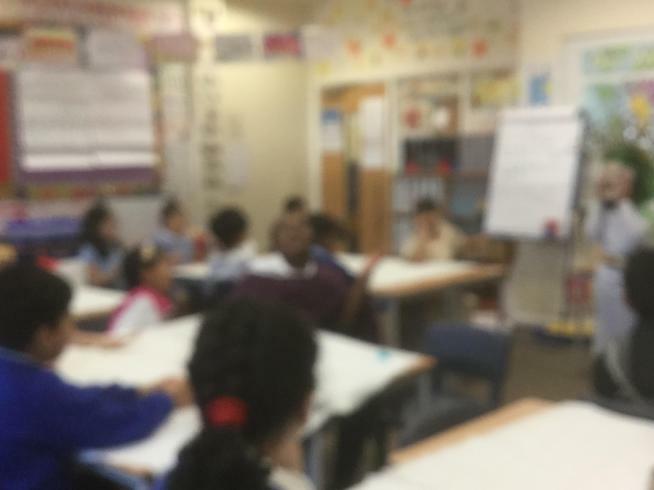 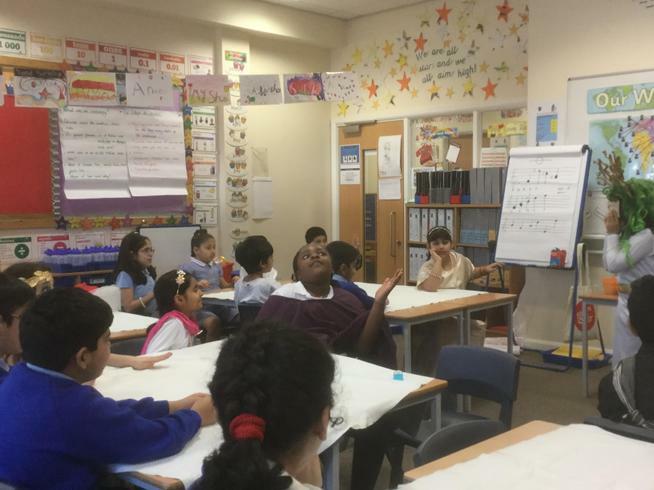 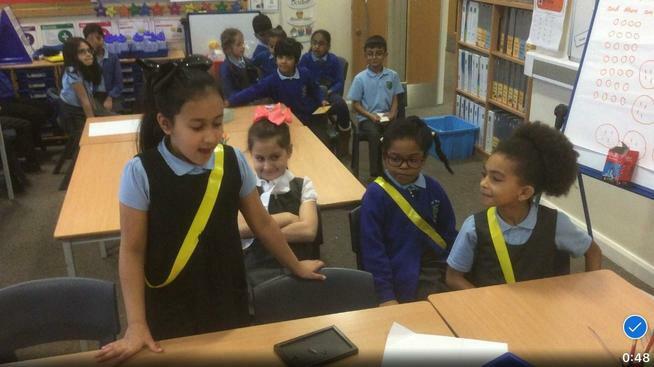 Our Energy Monitors has been checking classrooms every day and have a meeting every week. 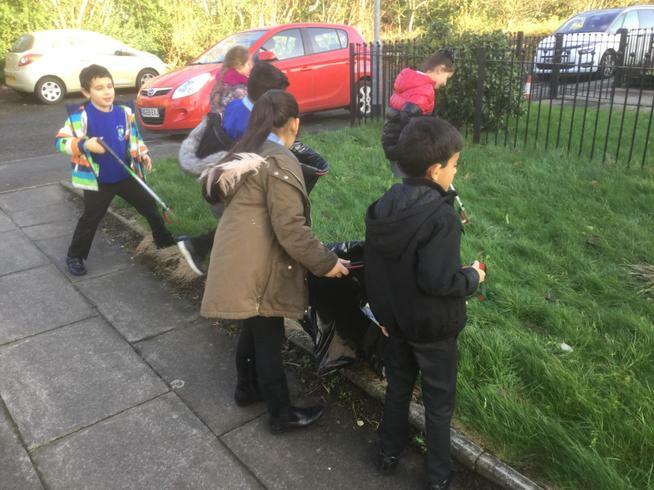 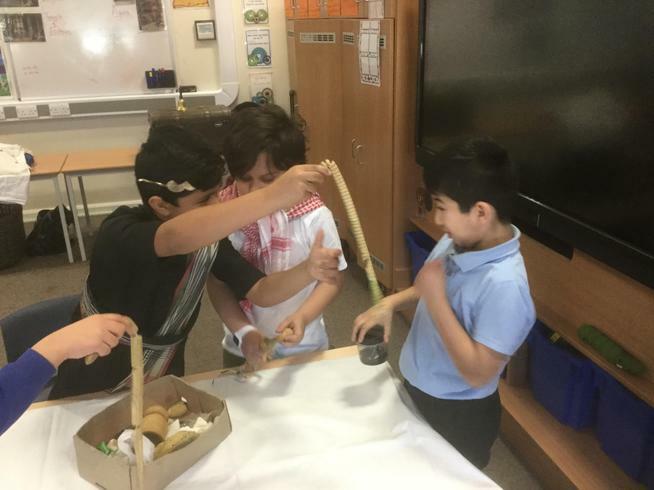 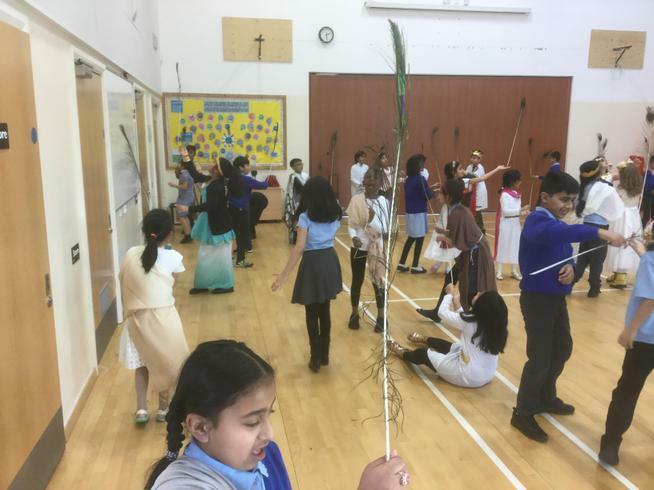 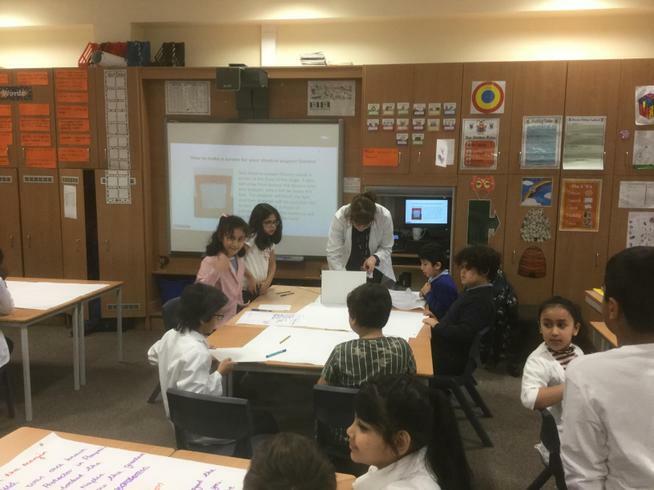 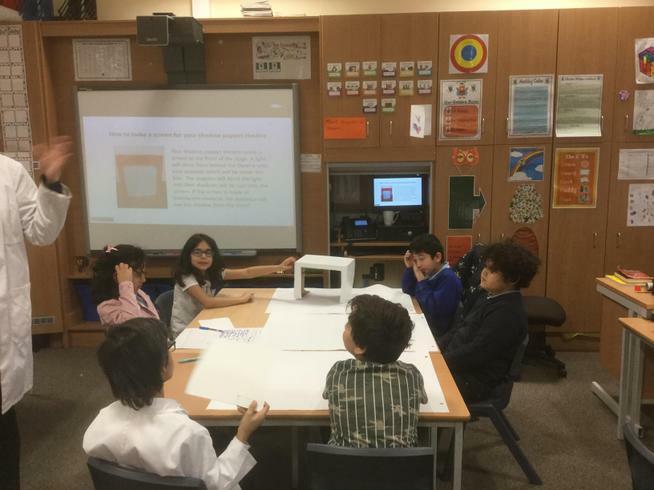 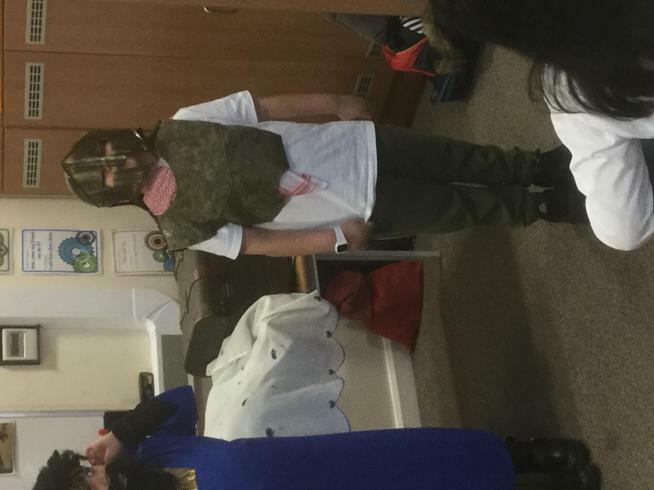 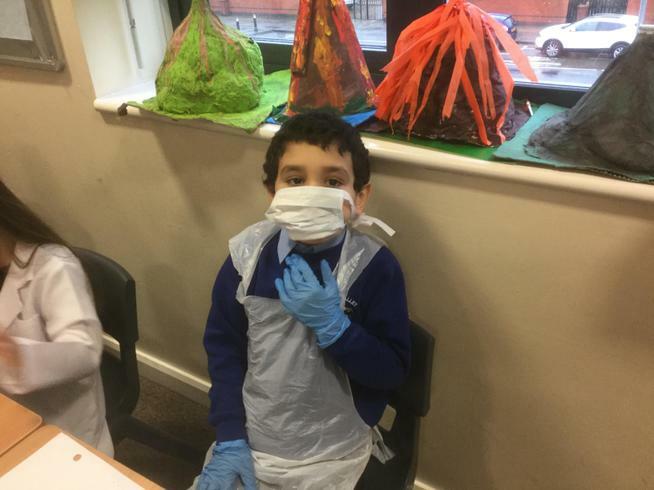 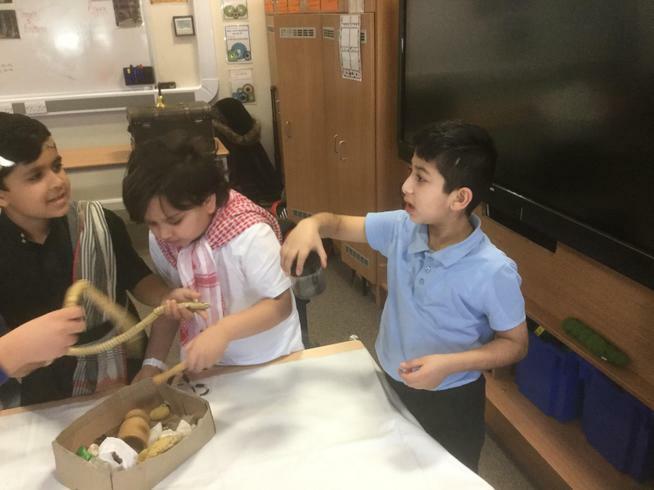 Our Eco team explore environmental issues through fun activities and encourage pupils in the school to be responsible citizens in their use of the world's resources. 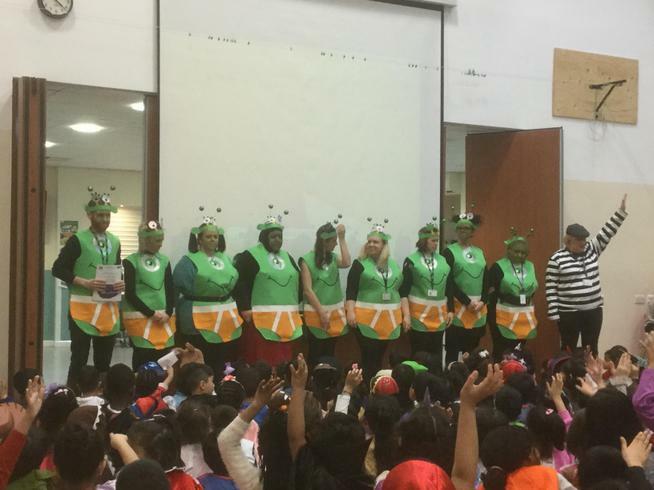 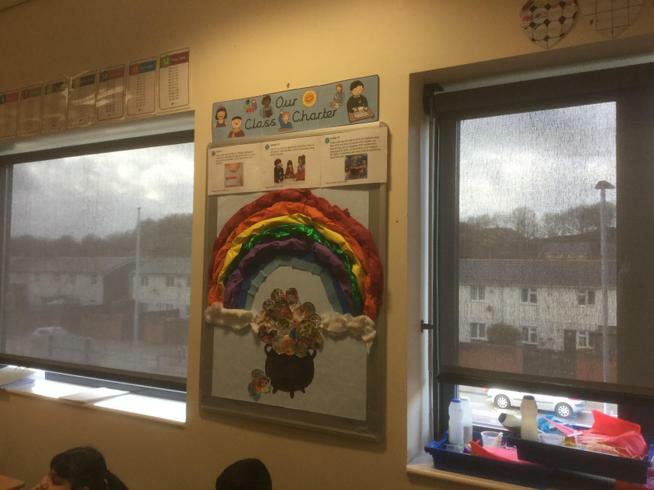 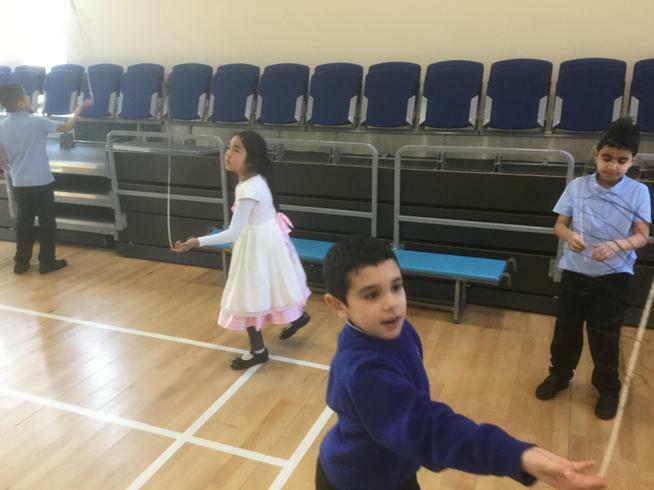 They encourage the children and staff to take on responsibilities within school, for example encouraging recycling or the conservation of water and electricity and running Eco projects. 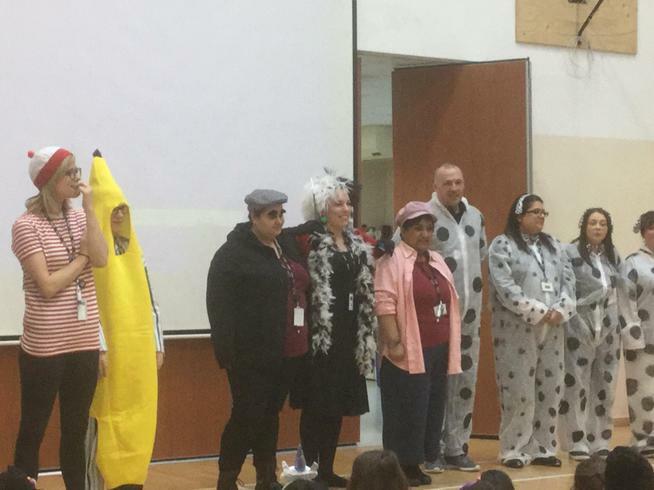 We are looking forward to making a difference in our school! 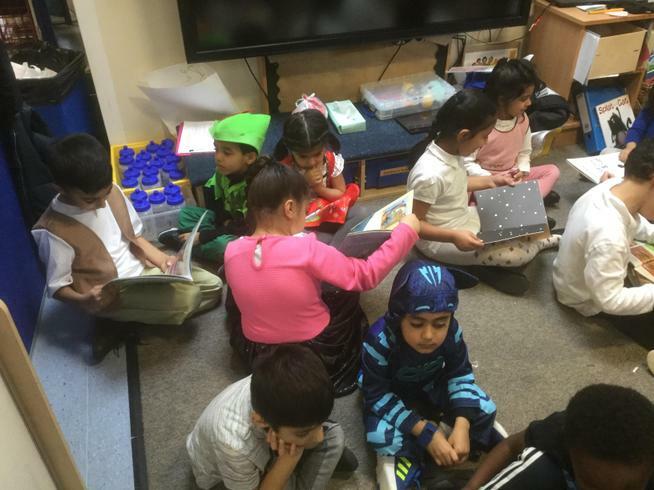 We are encouraging children to share what they learn during Switch-Off Fortnight with their families and to help them save energy at home too! 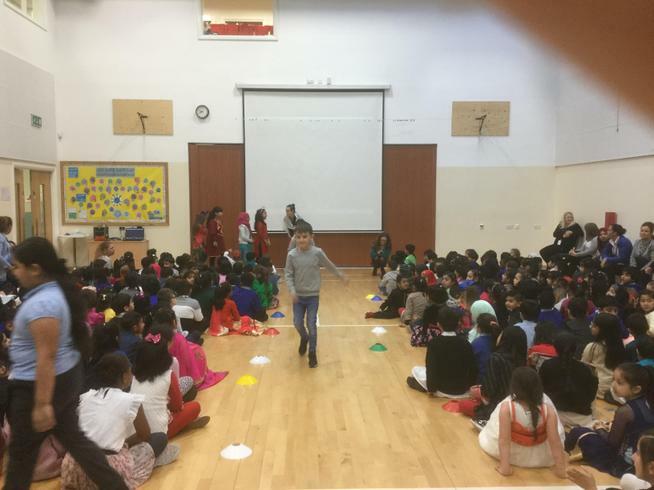 This week we have enjoyed taking part in different activities for Road Safety Week. 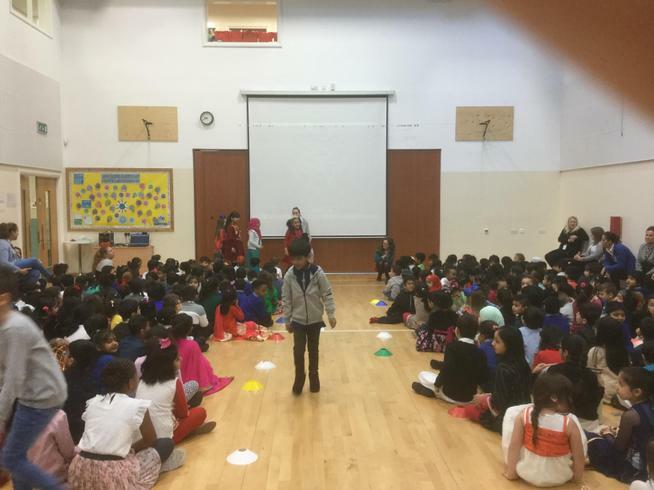 During Road Safety Week, the whole school take part with road safety demonstrations, events, awareness video screenings, talks and many more. 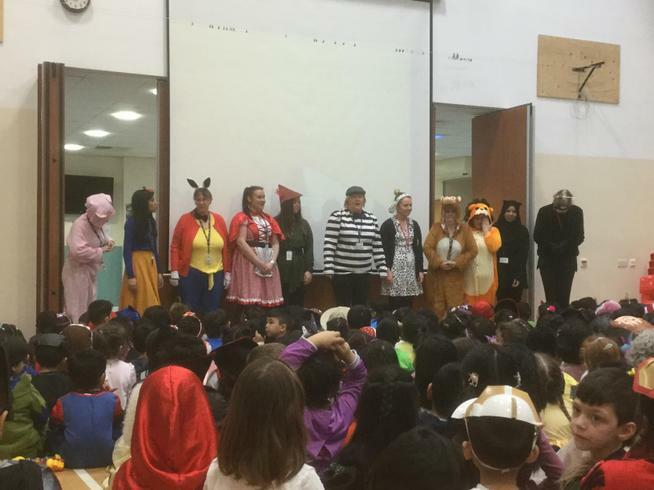 This Anti Bullying week provides an opportunity for everyone in school to campaign against bullying in our school. 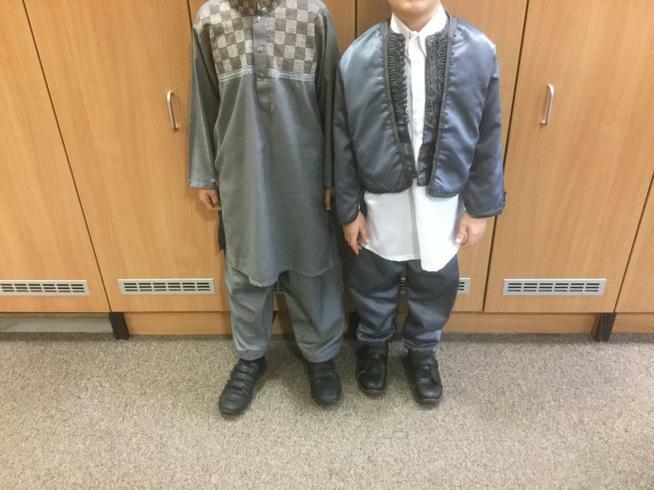 In 3MG, we have been learning how to be a good friend. 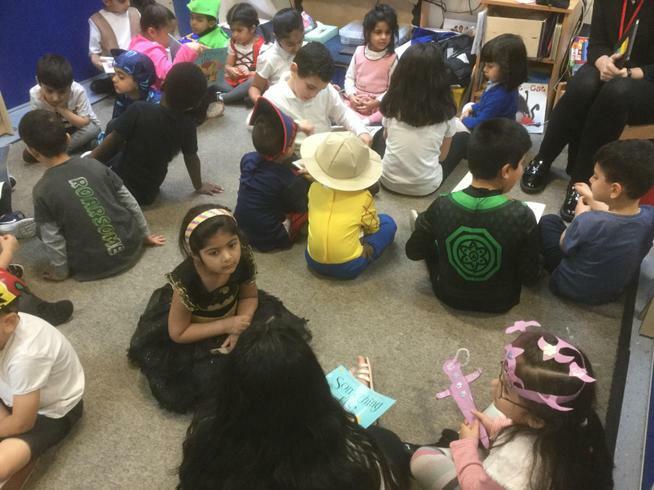 We carried out a number of friendship activities during the week. 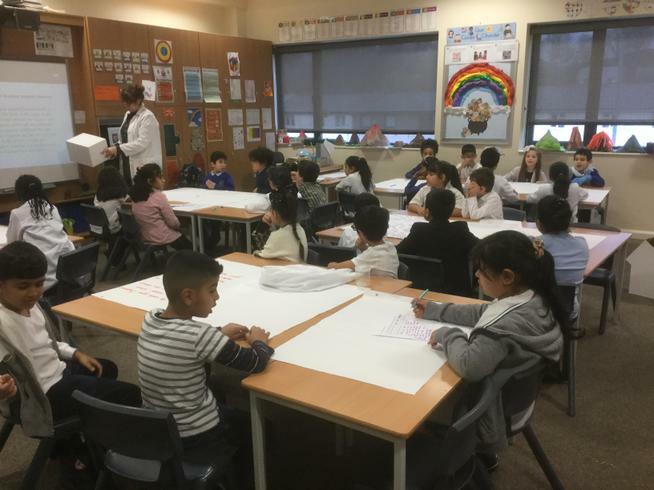 One of them is to create Anti-Bullying poster. 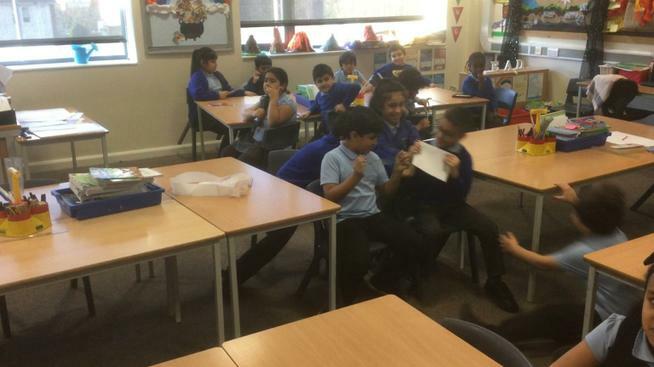 Please take a look at our amazing Anti Bullying Posters.